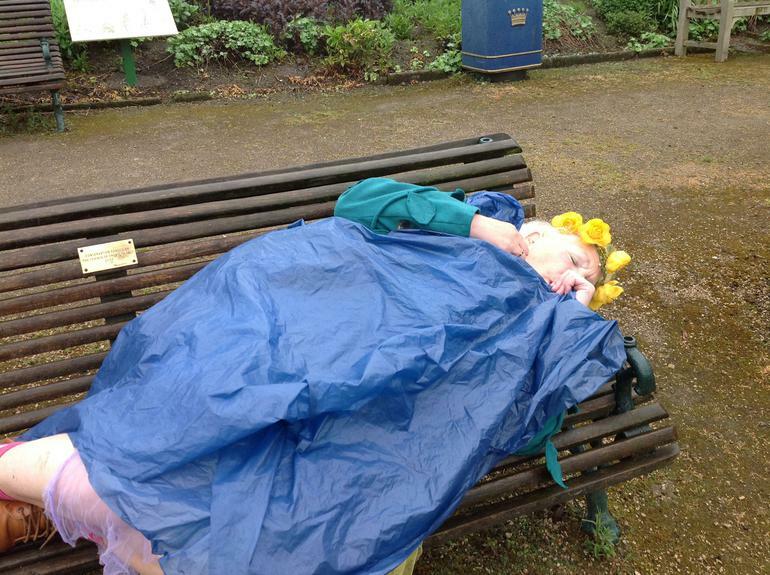 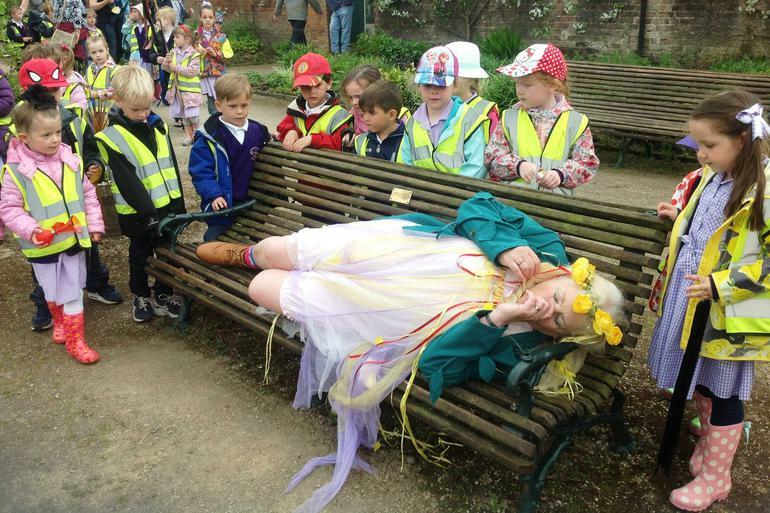 We made our way through the park and found 'Spring' fast asleep! 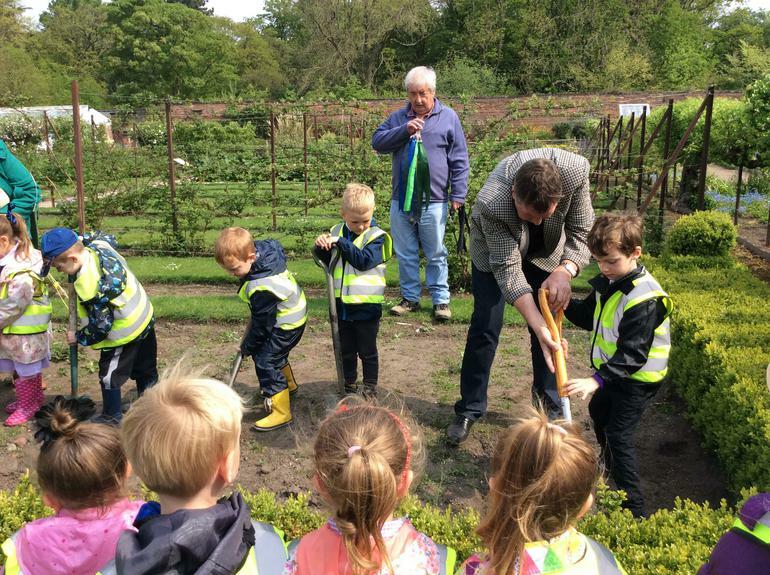 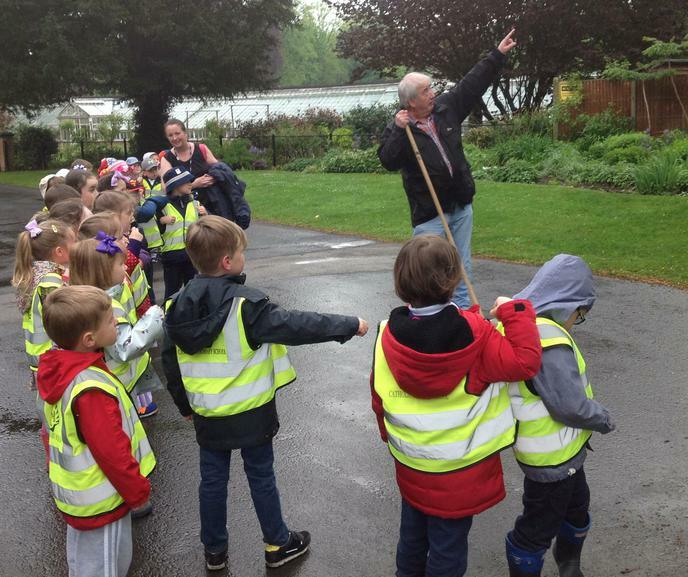 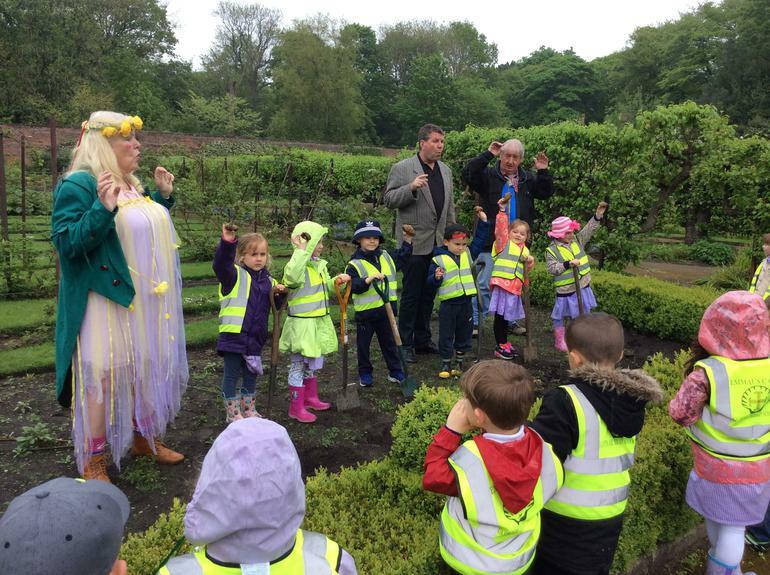 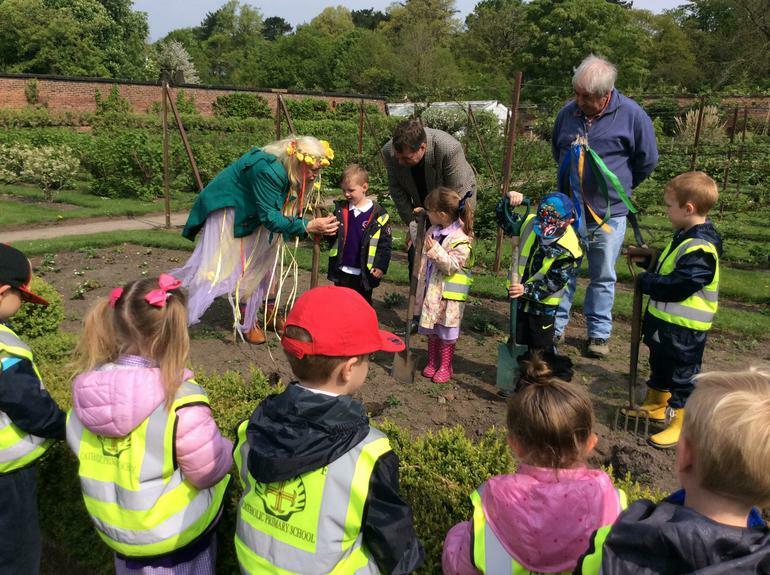 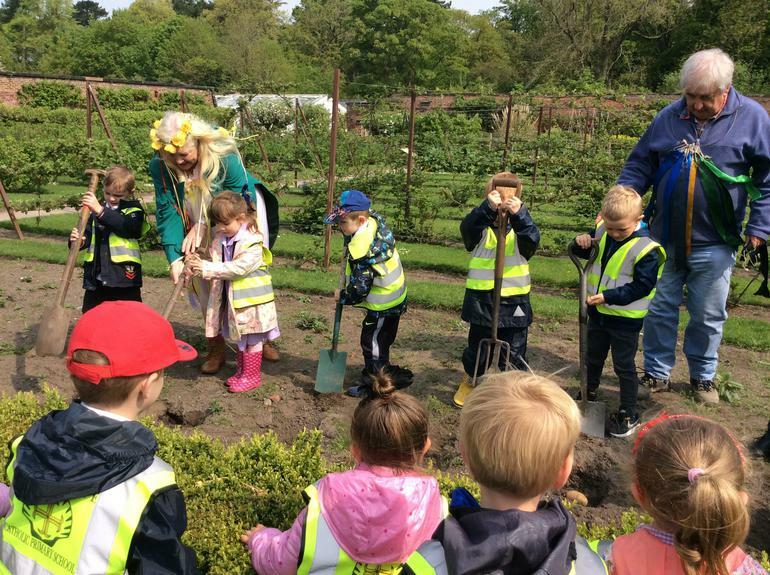 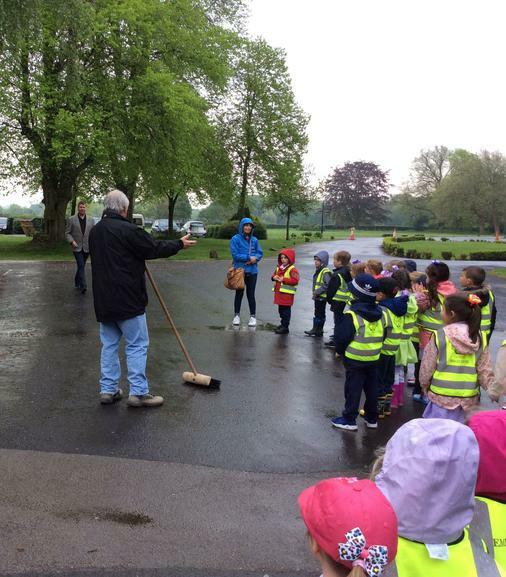 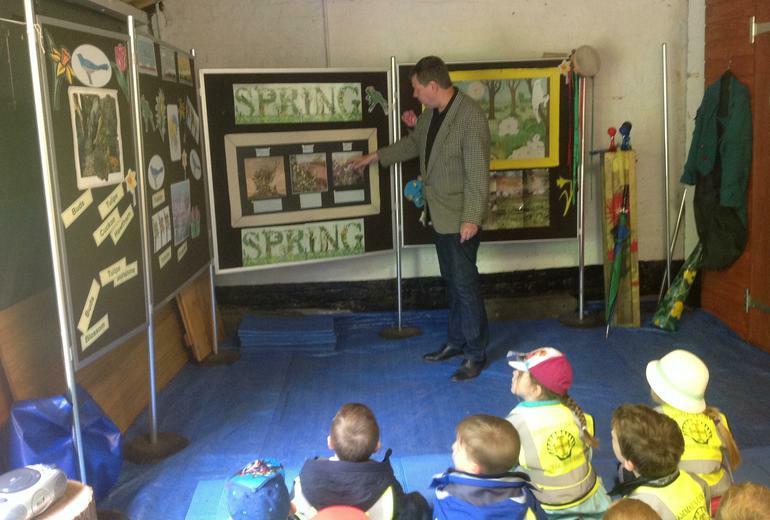 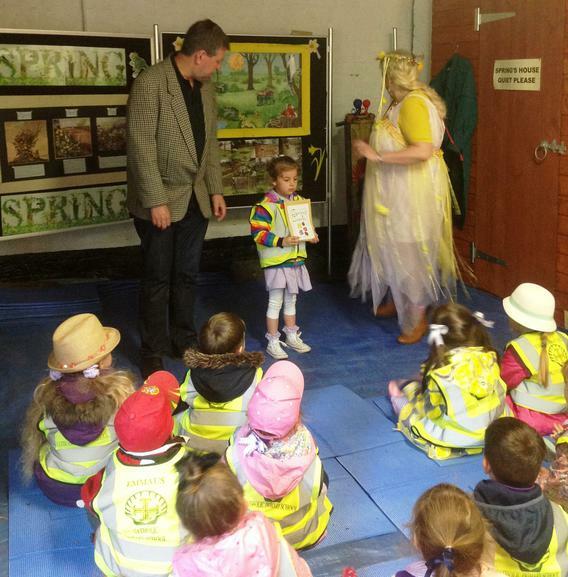 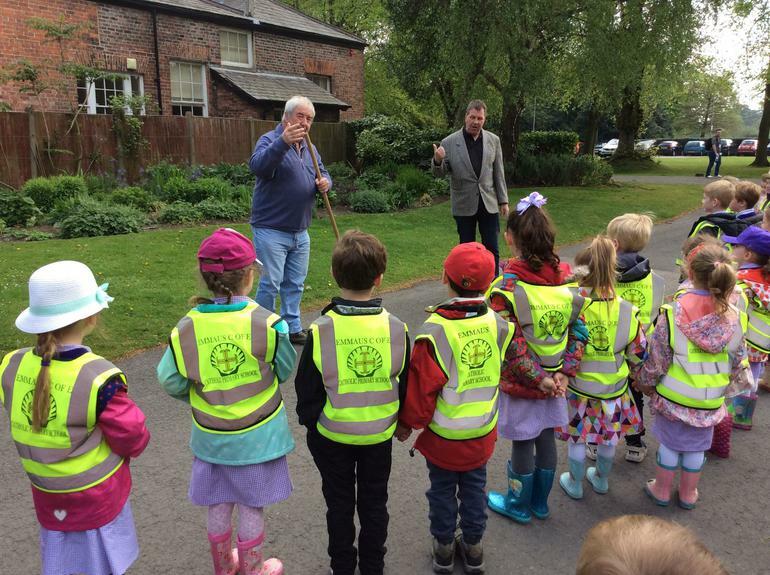 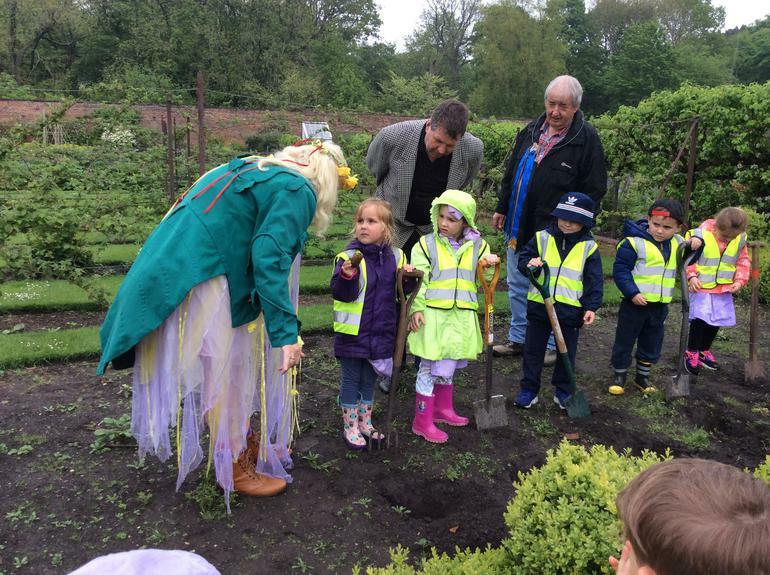 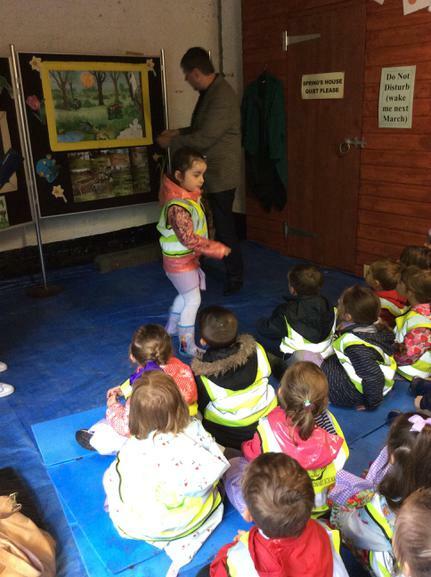 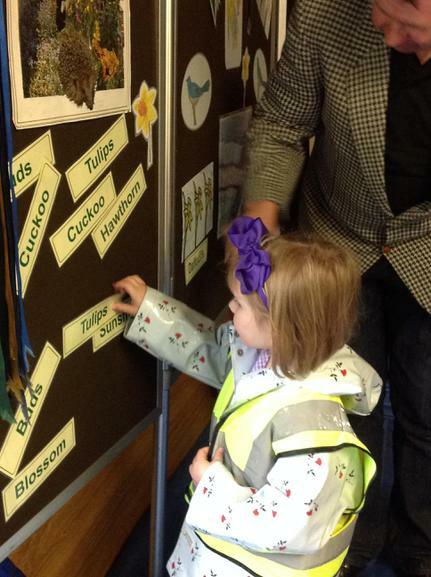 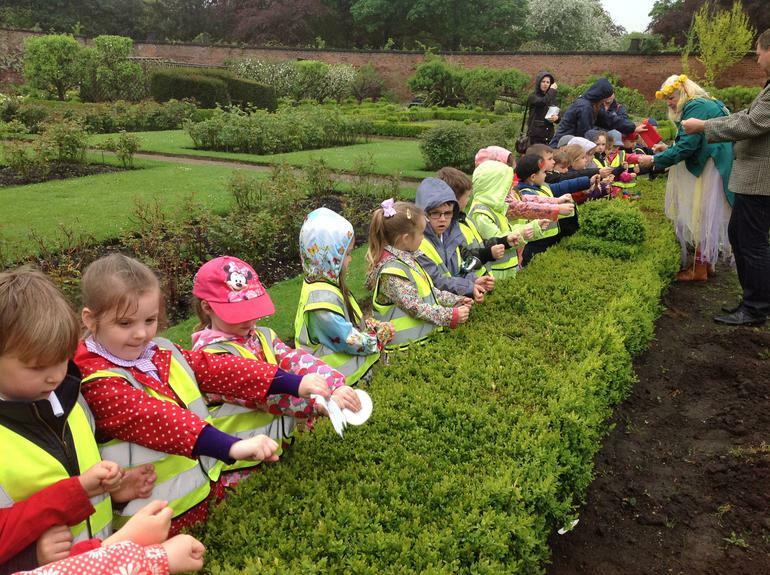 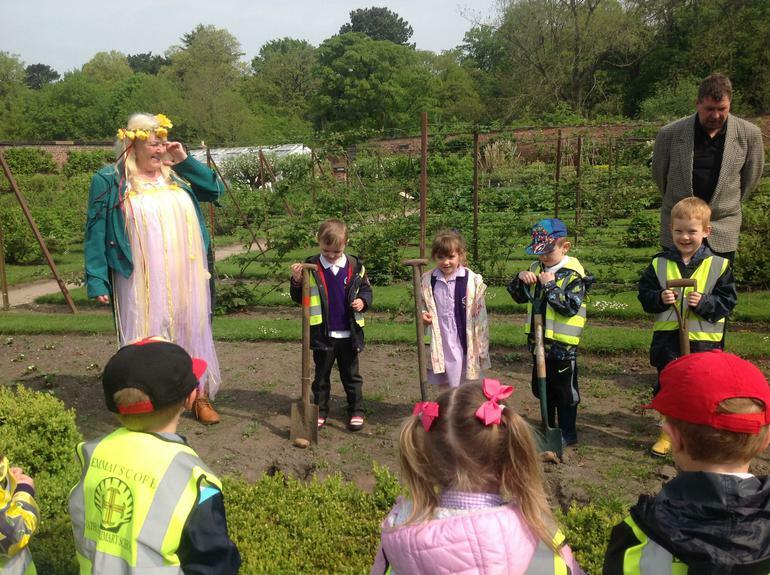 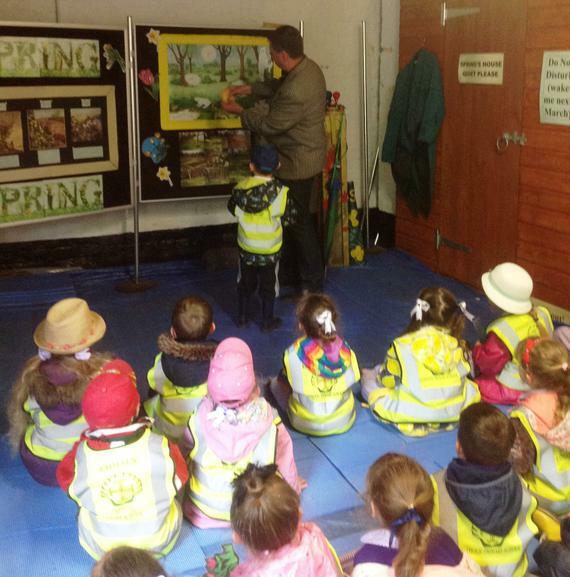 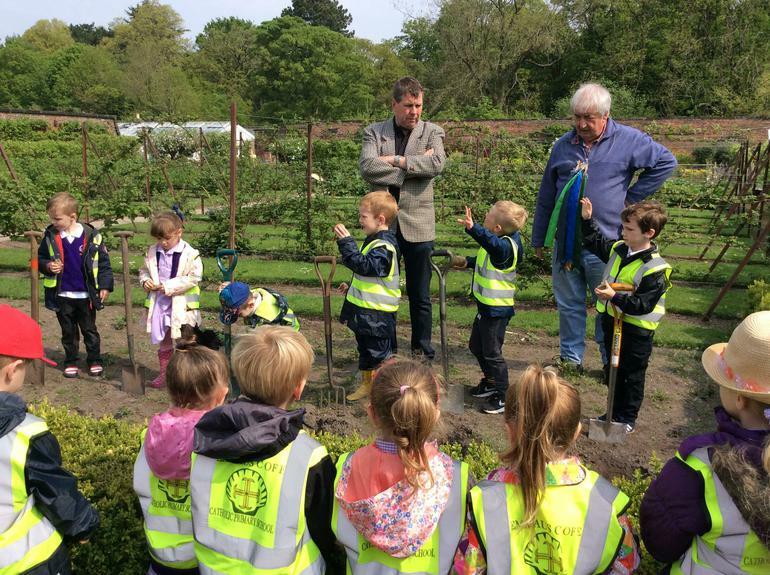 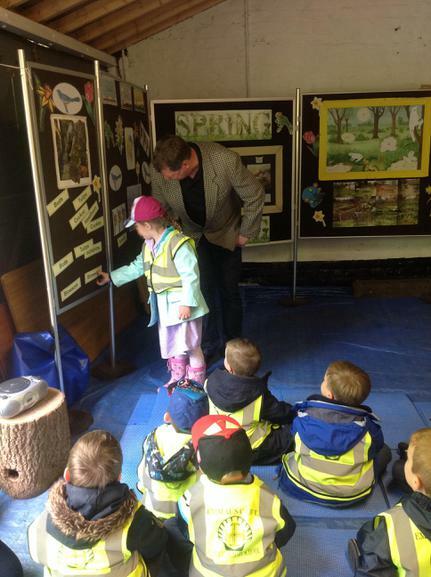 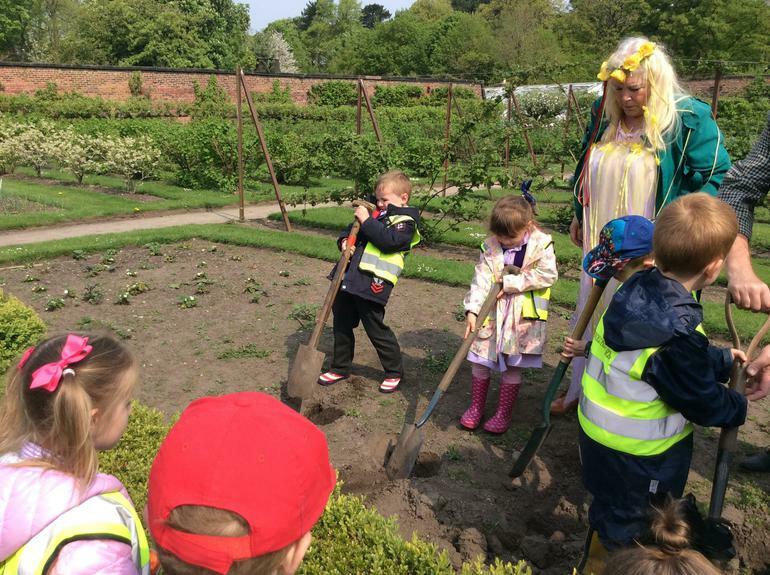 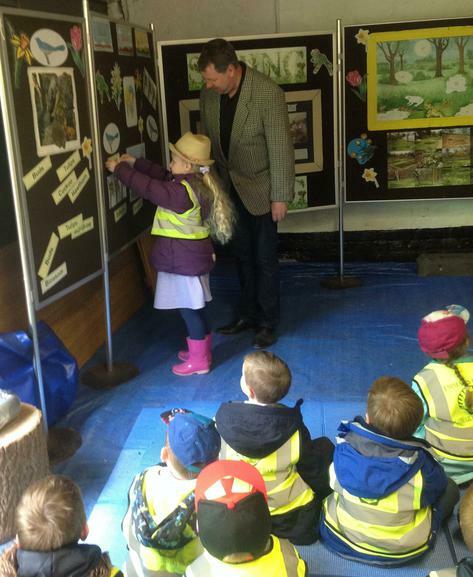 After waking Spring up, she invited us to help her complete her Spring tasks...waking up all the flowers, plants, bugs and animals in Croxteth Park so they could grow. 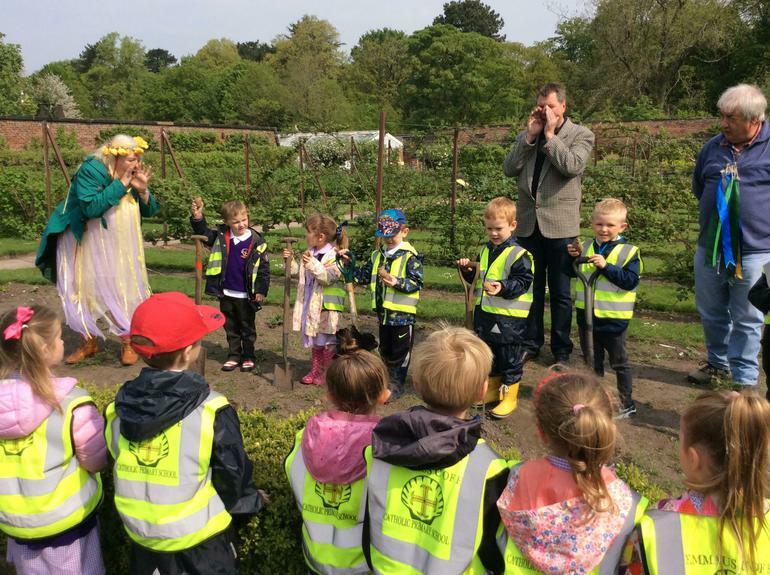 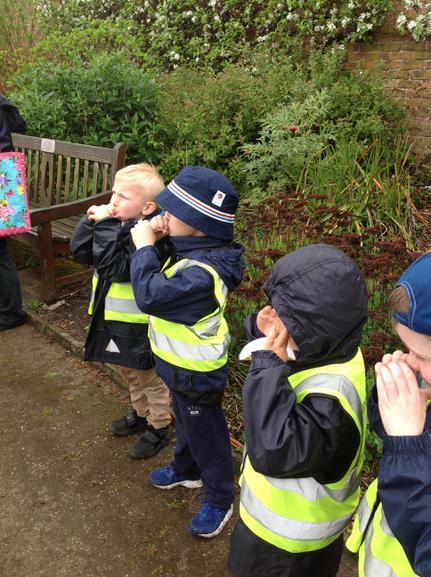 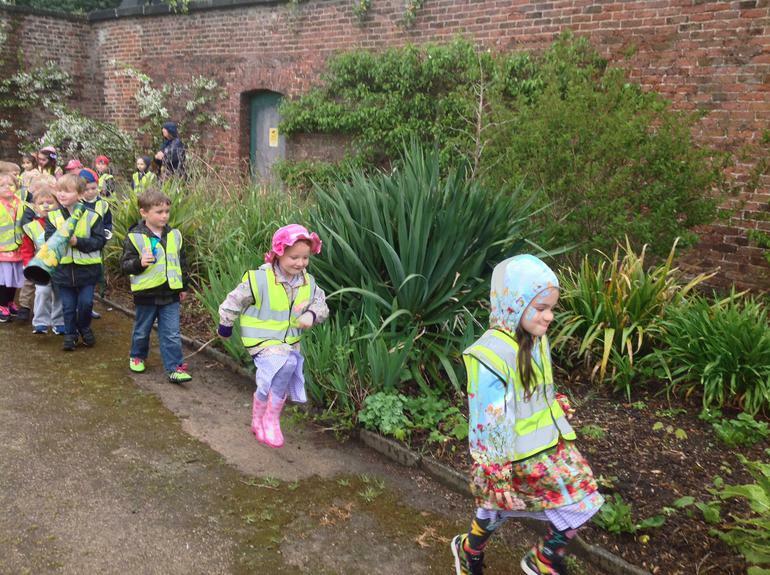 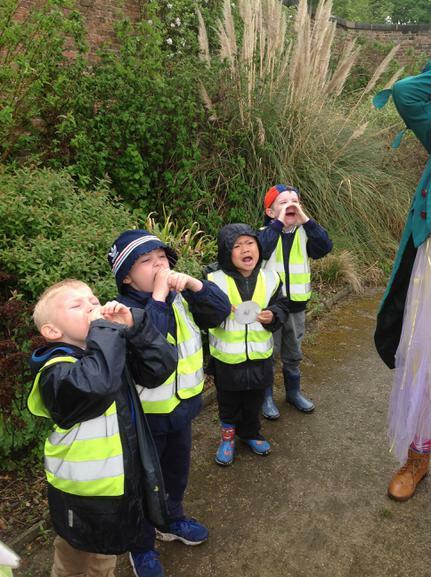 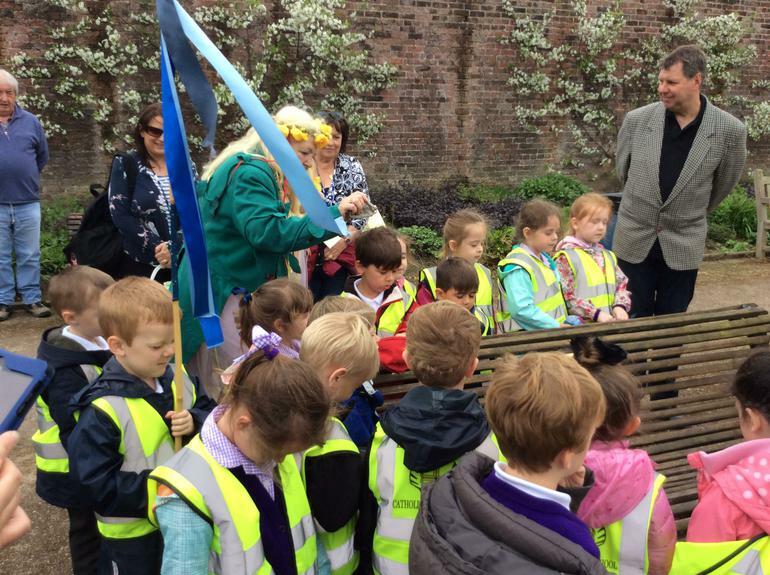 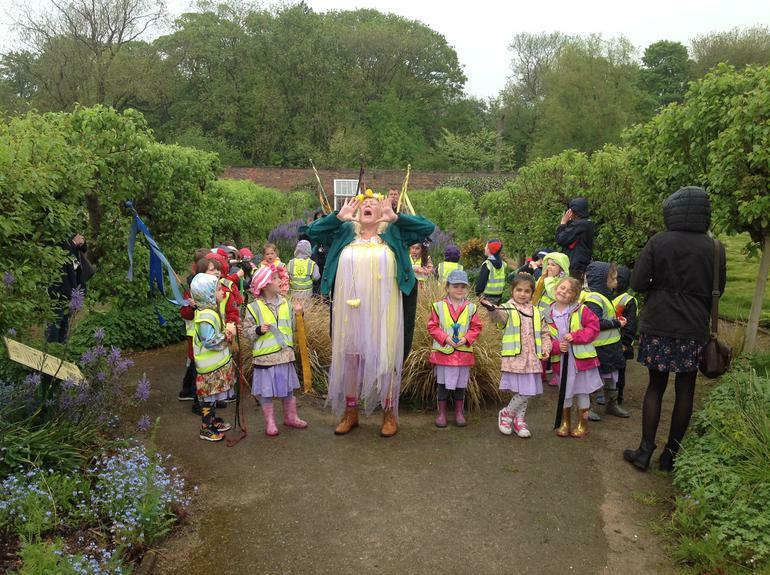 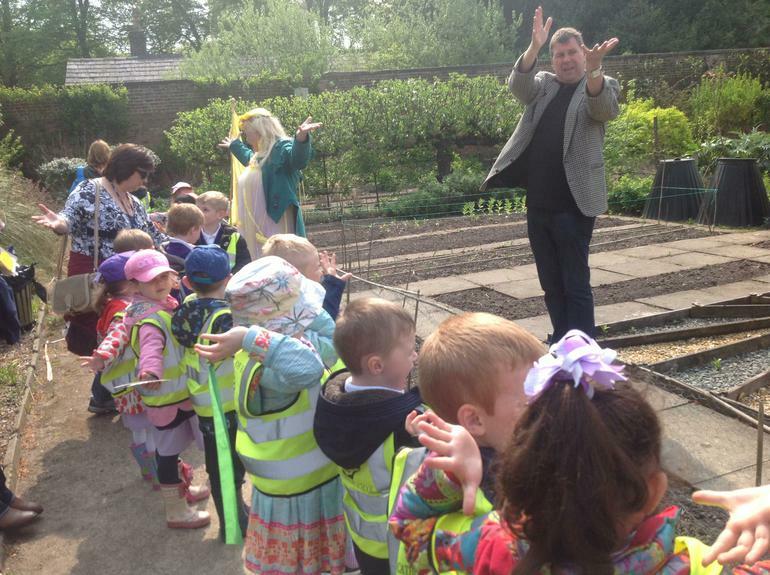 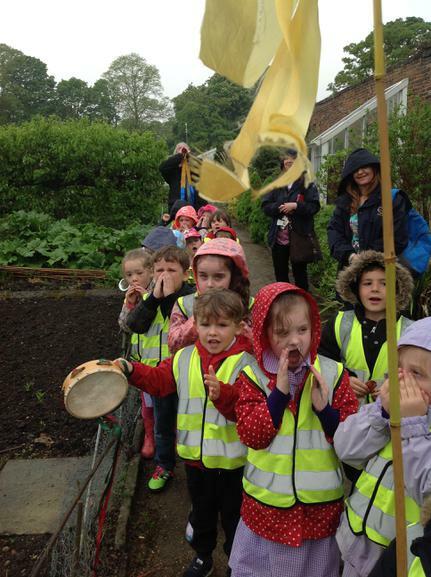 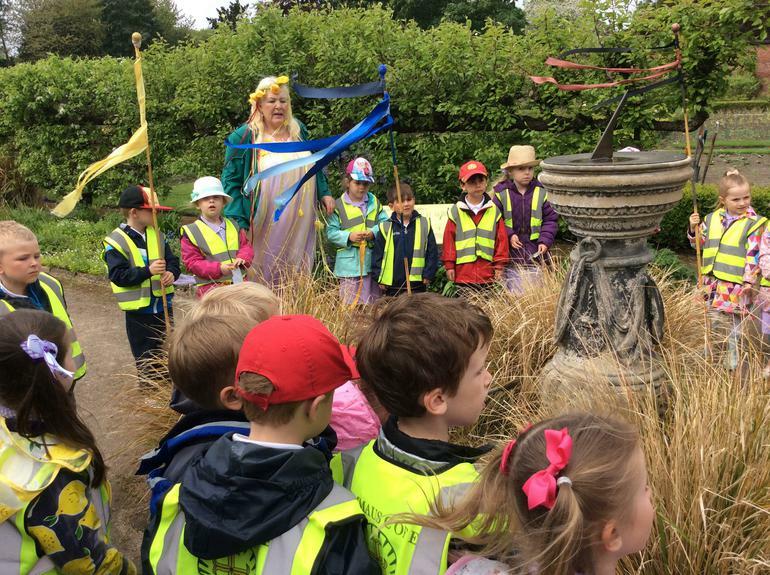 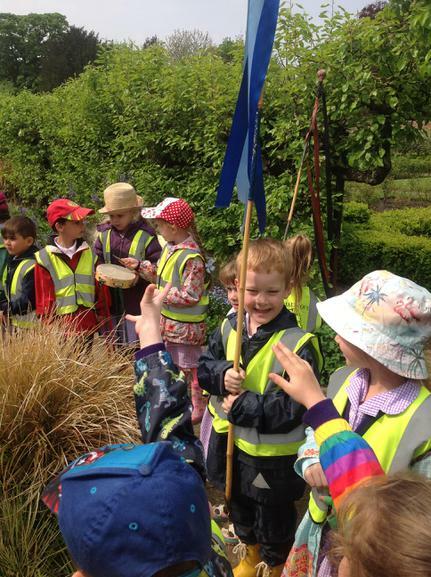 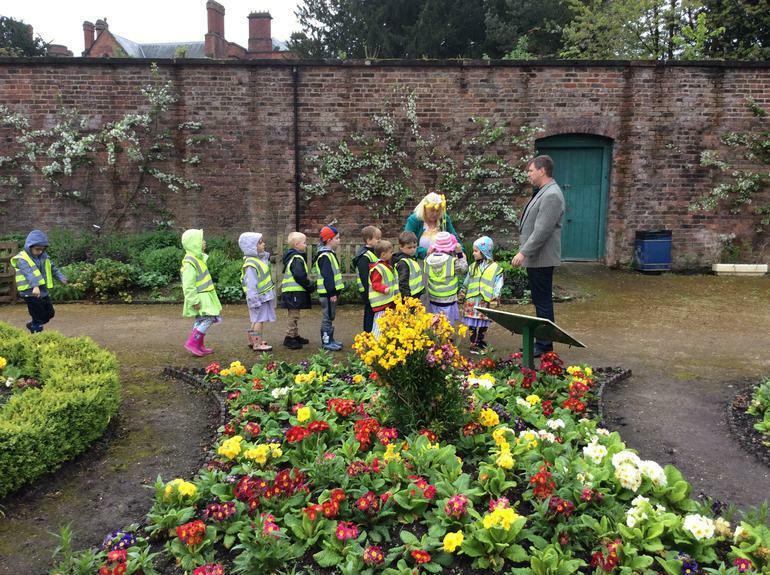 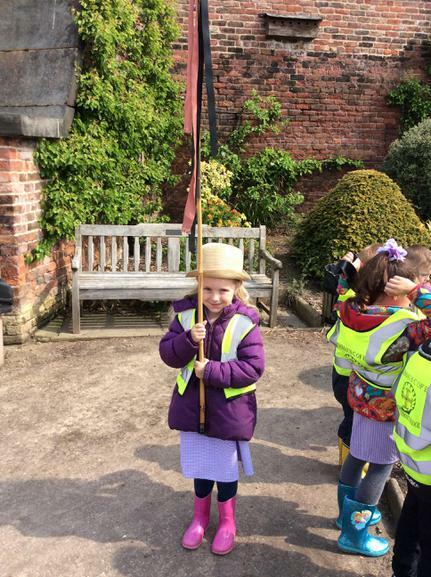 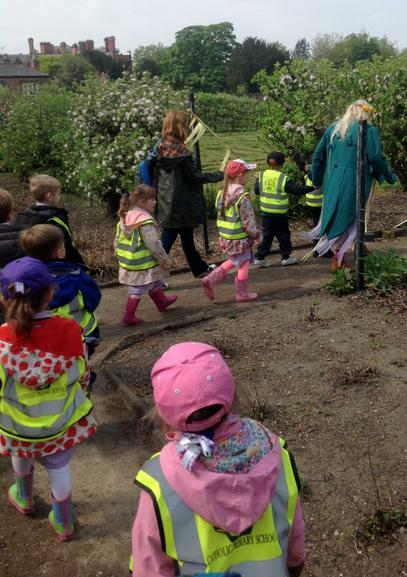 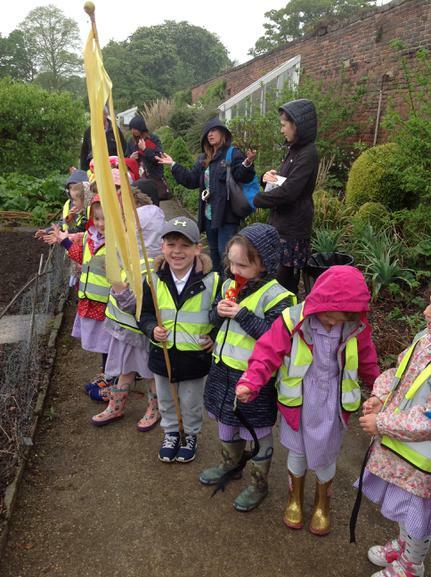 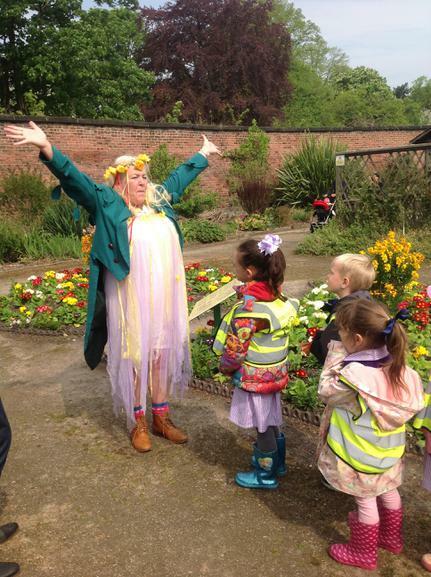 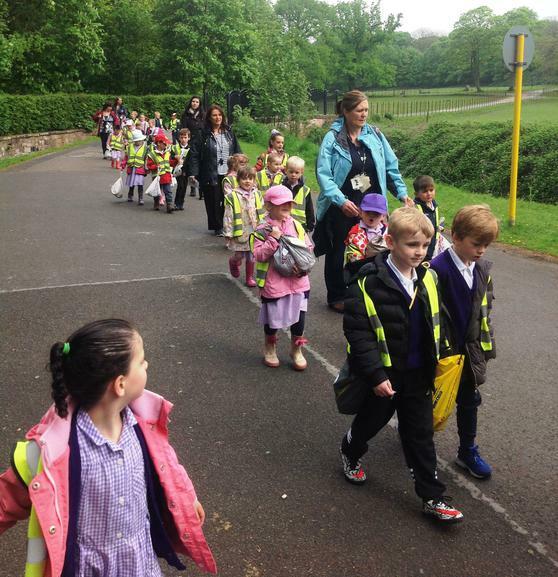 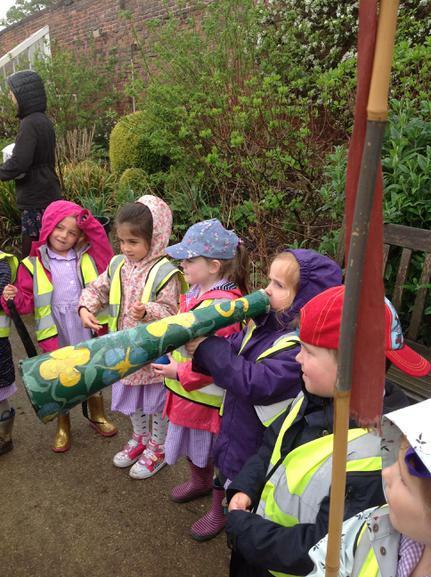 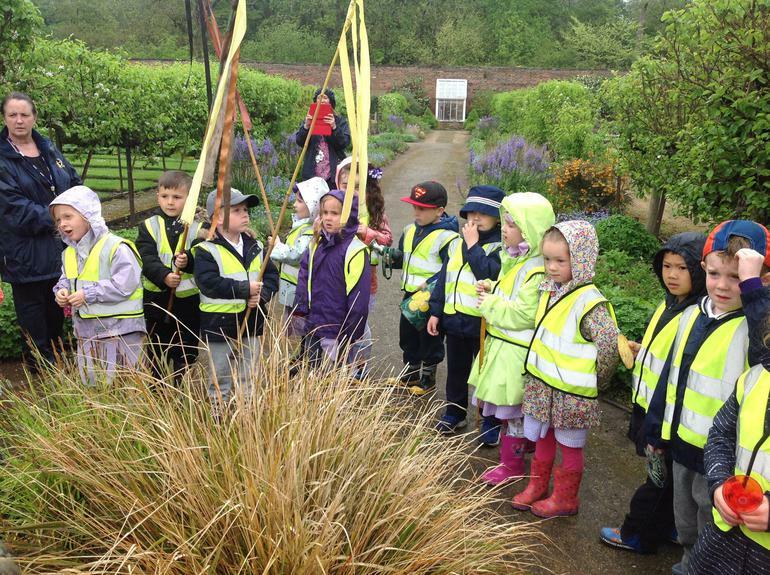 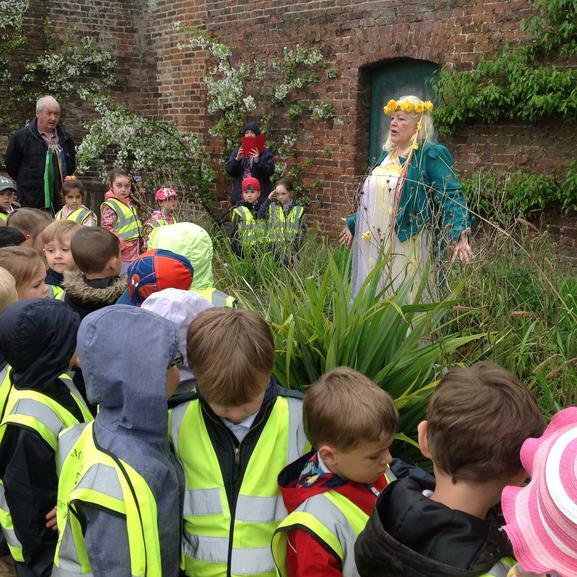 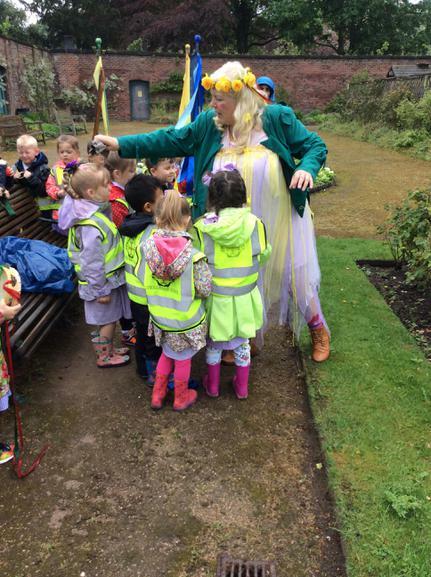 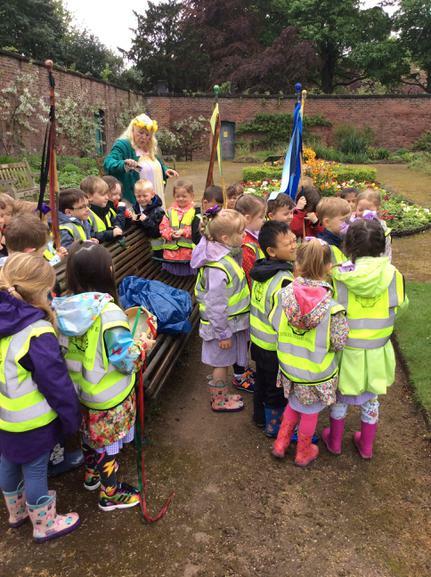 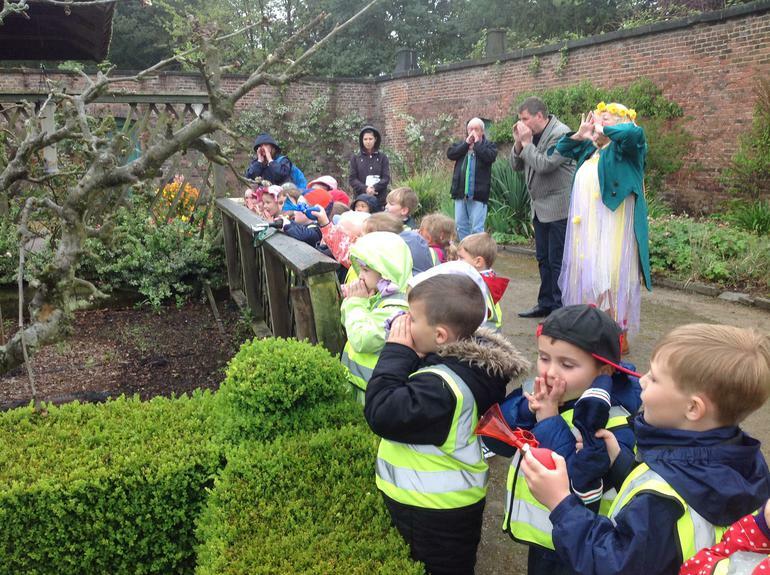 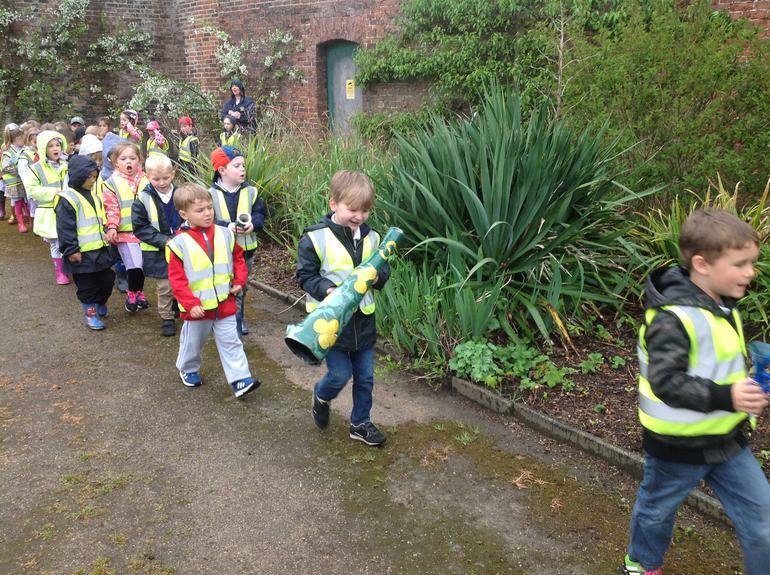 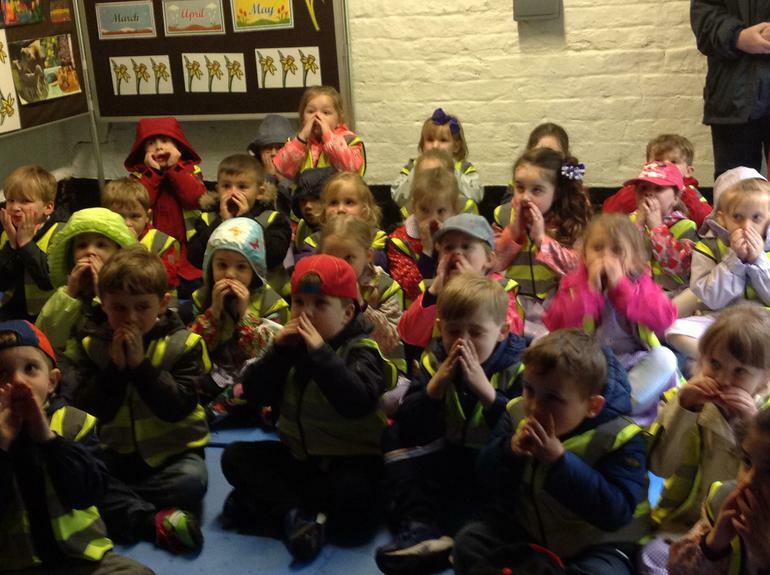 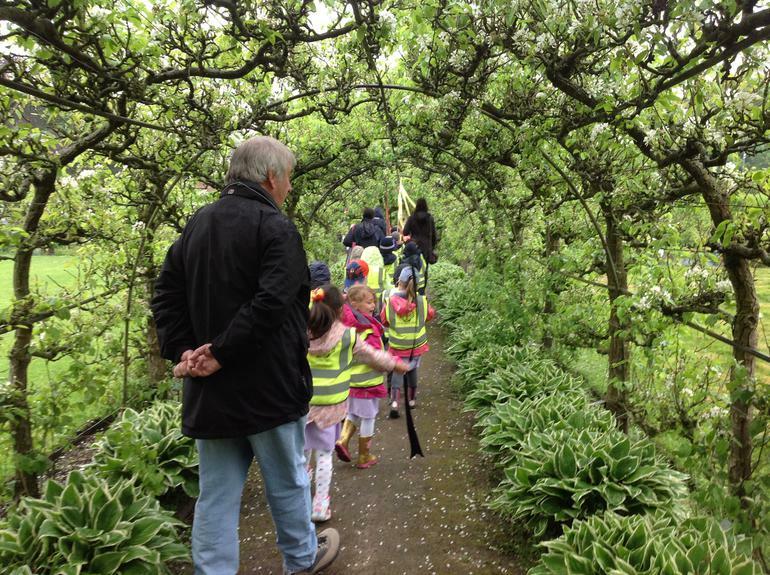 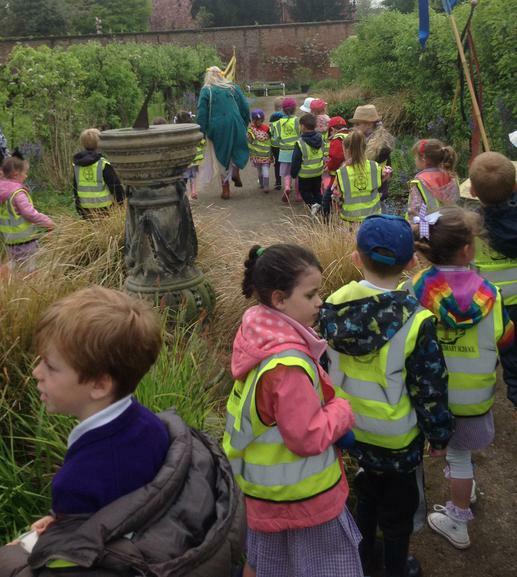 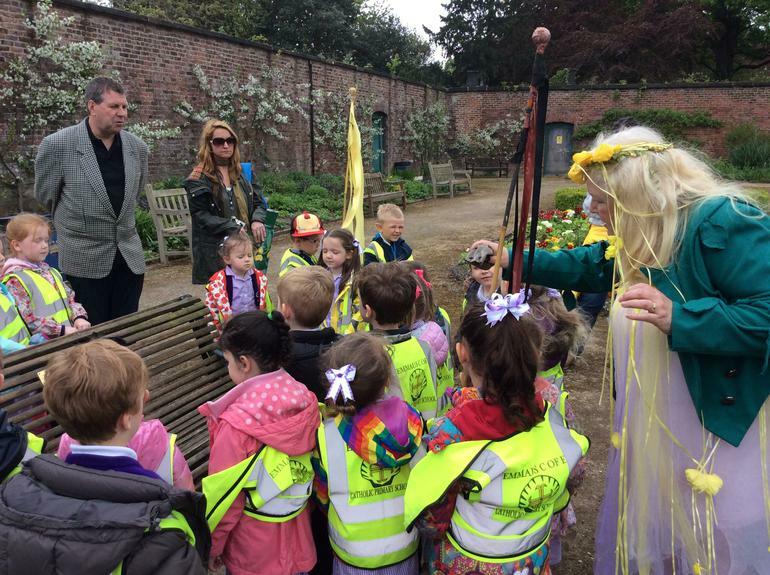 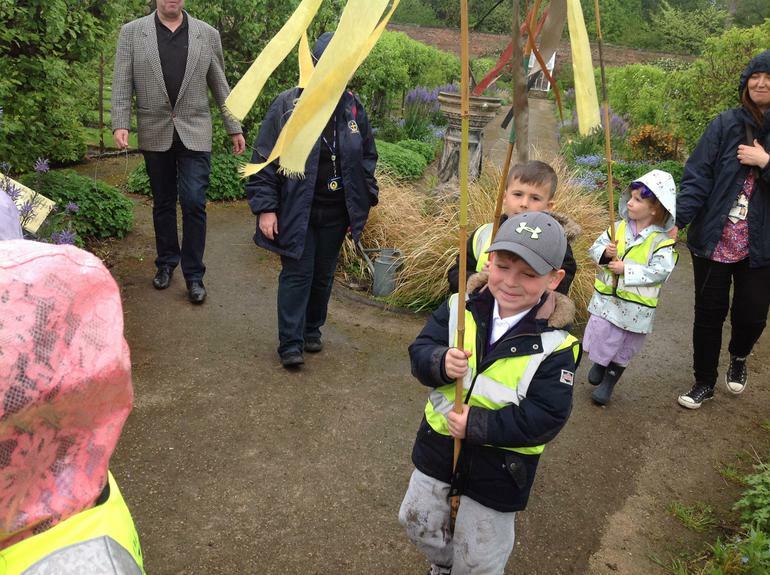 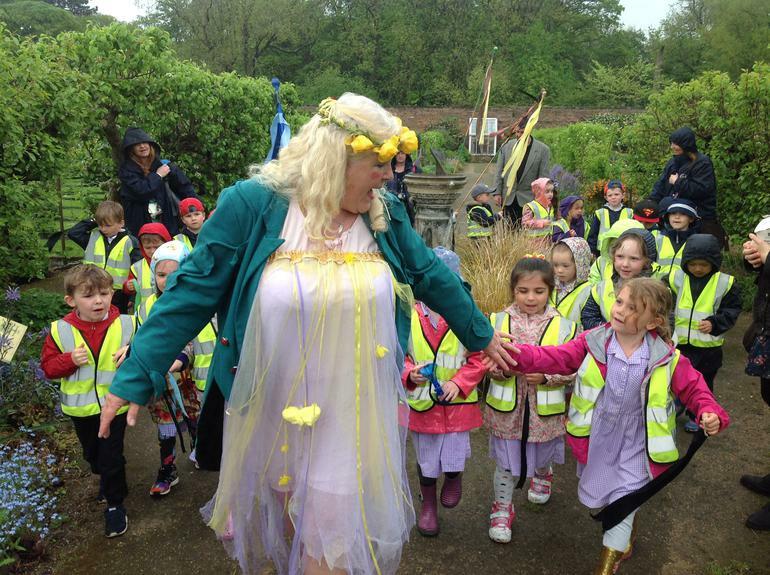 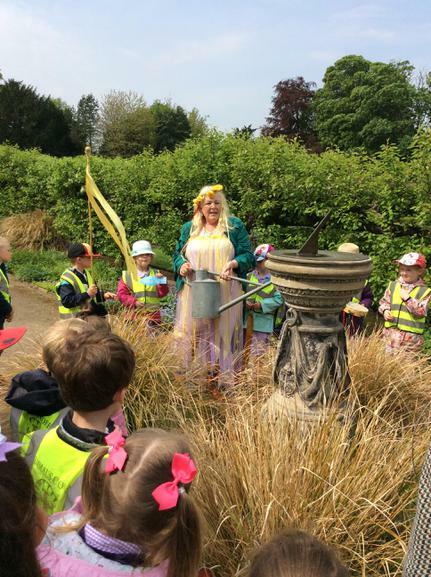 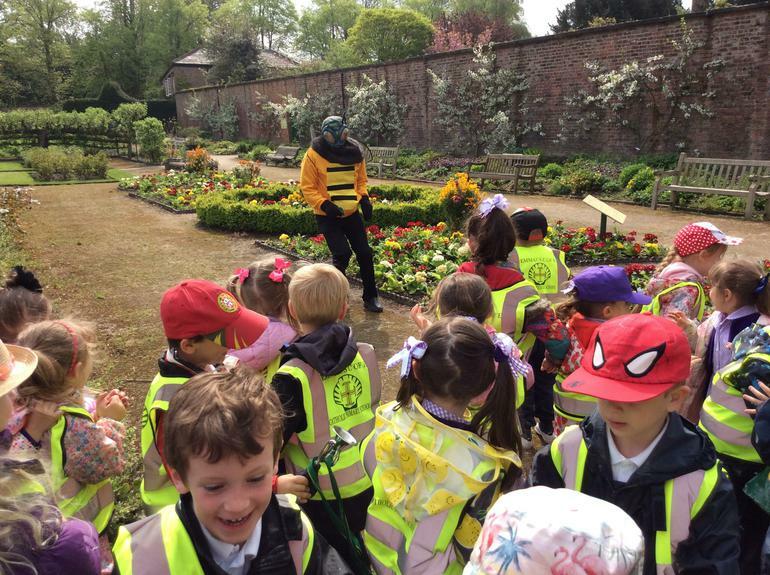 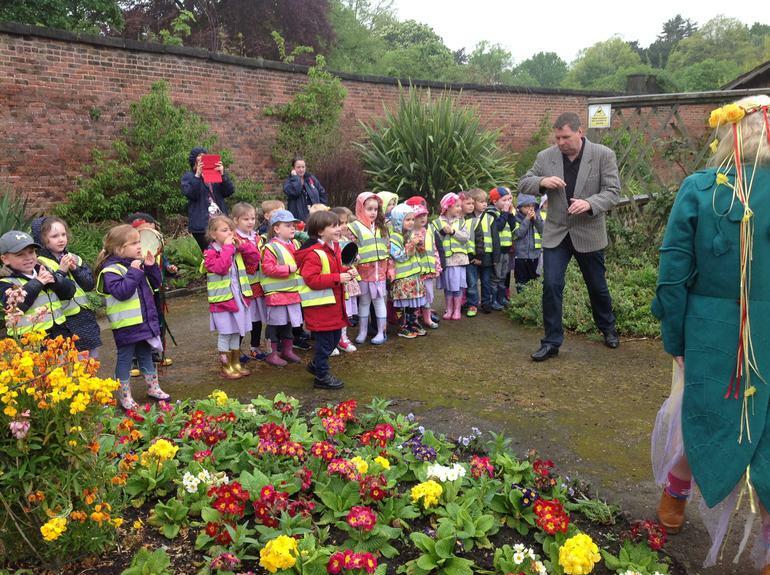 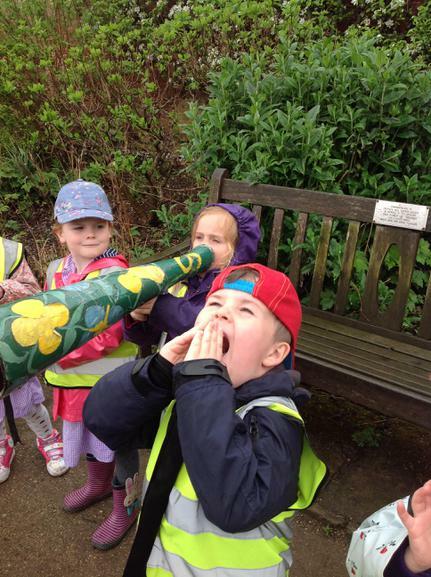 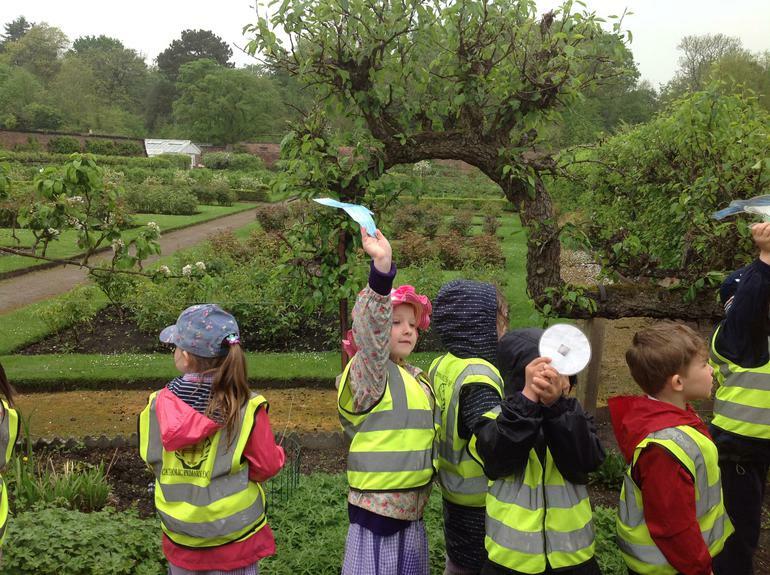 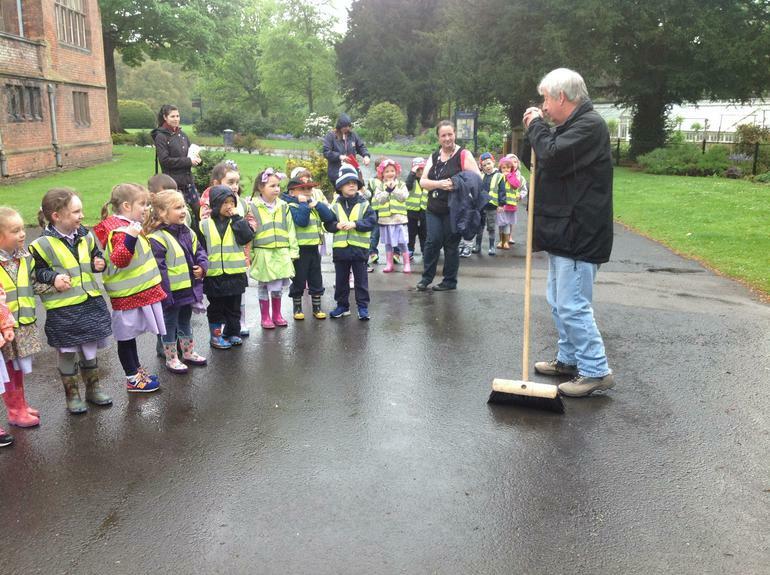 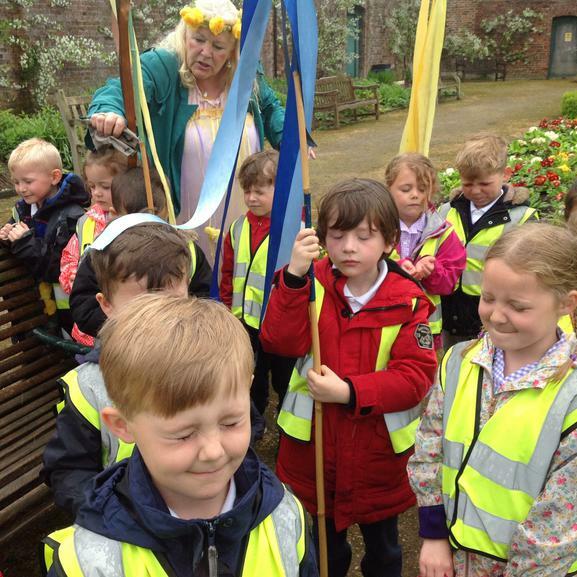 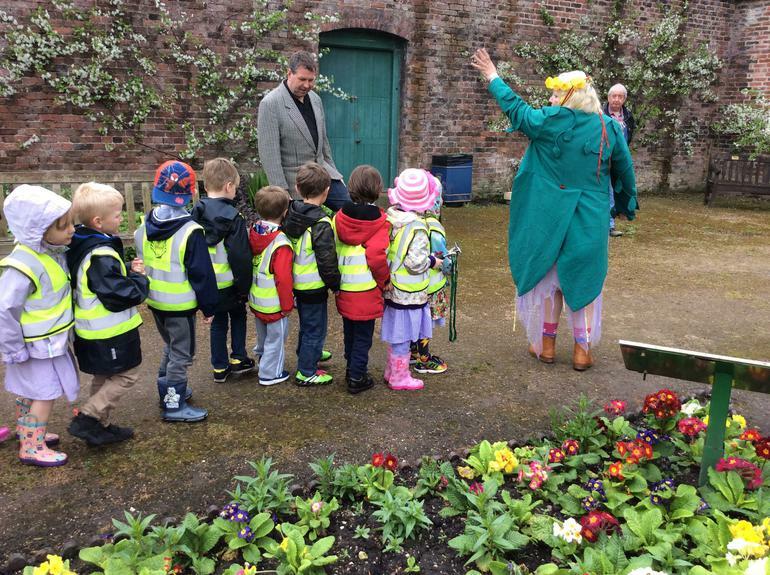 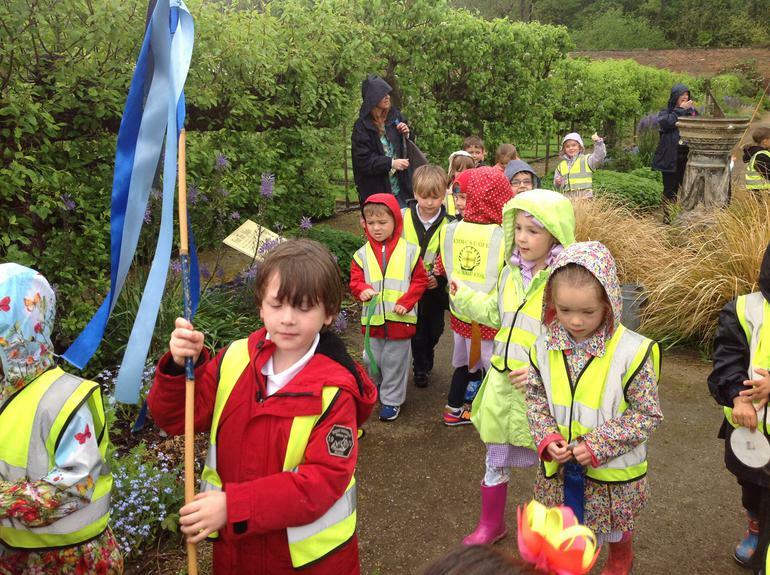 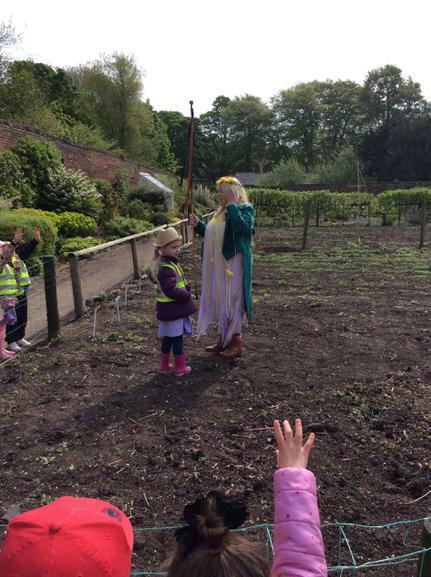 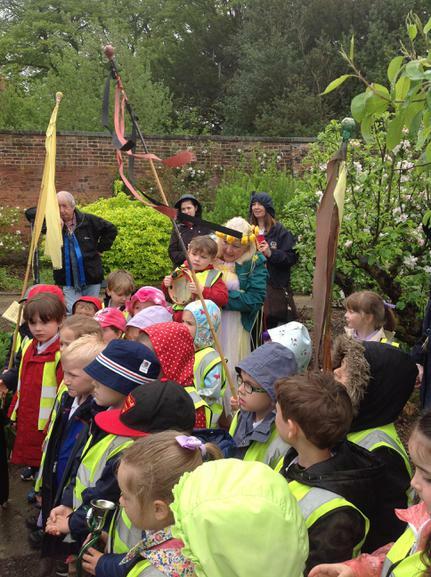 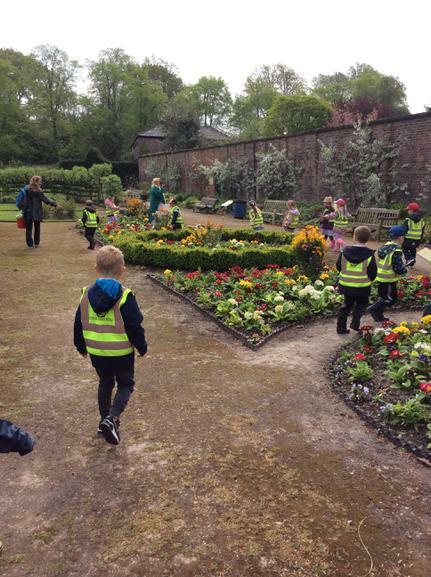 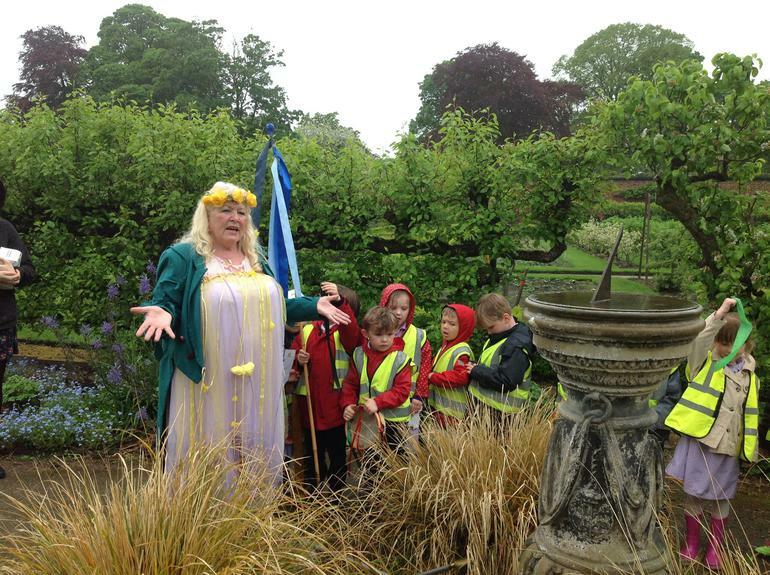 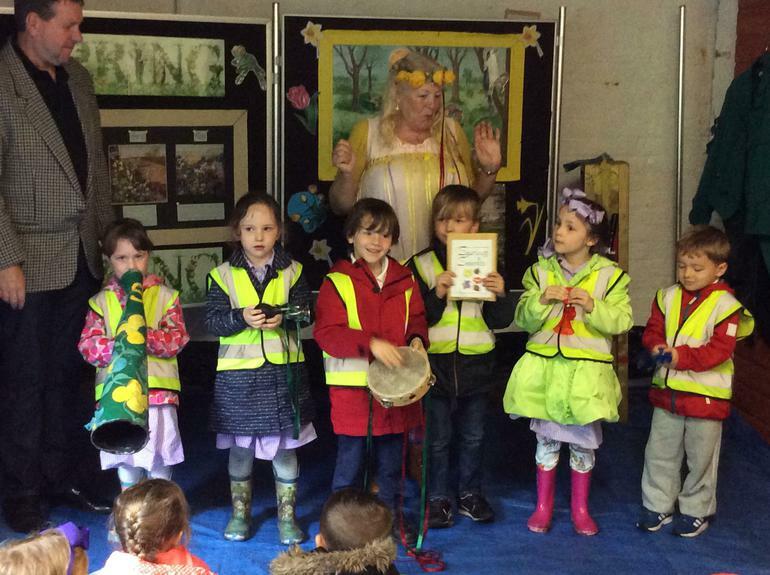 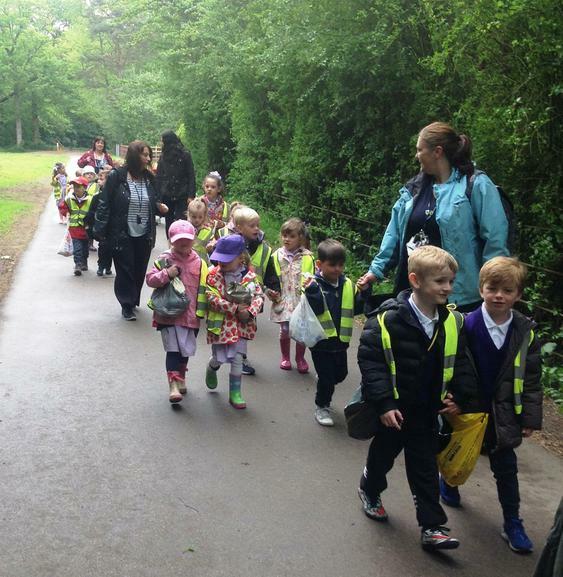 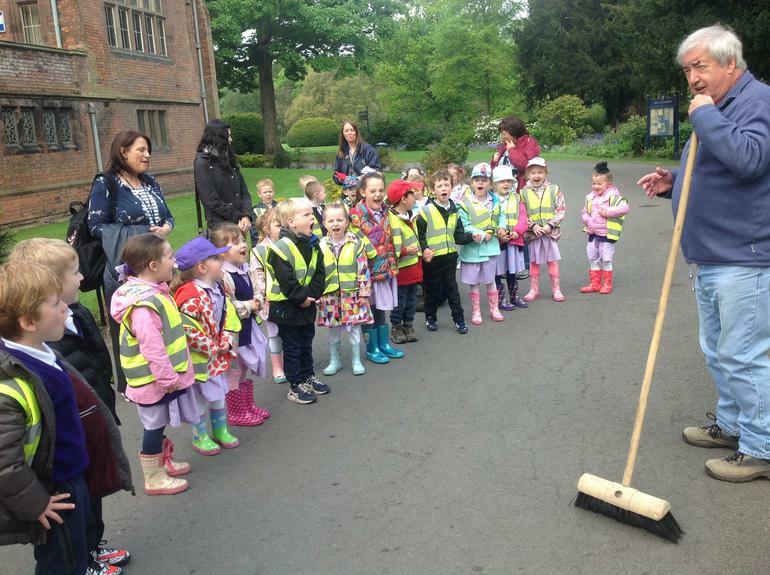 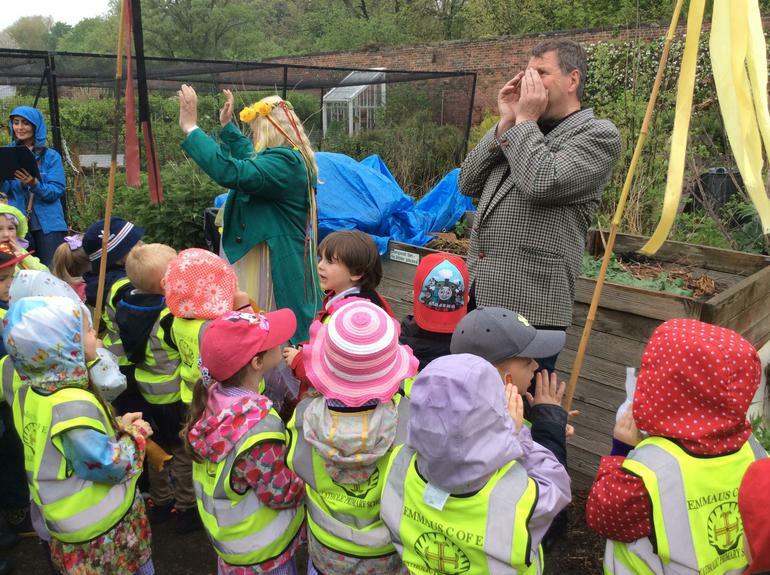 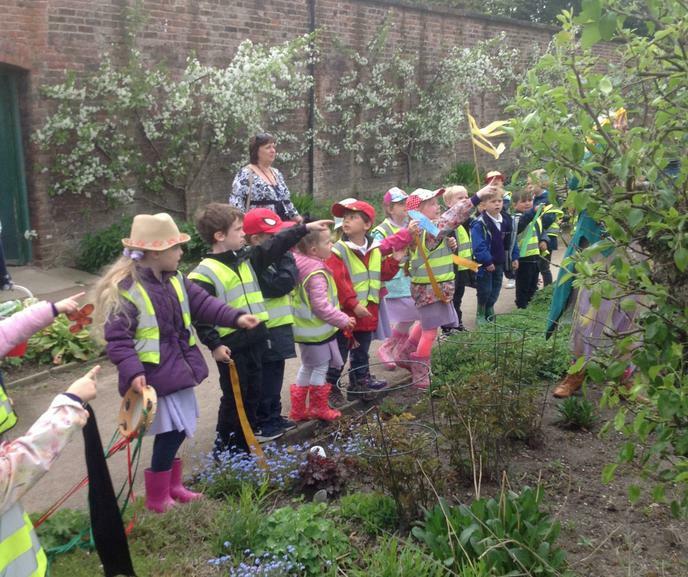 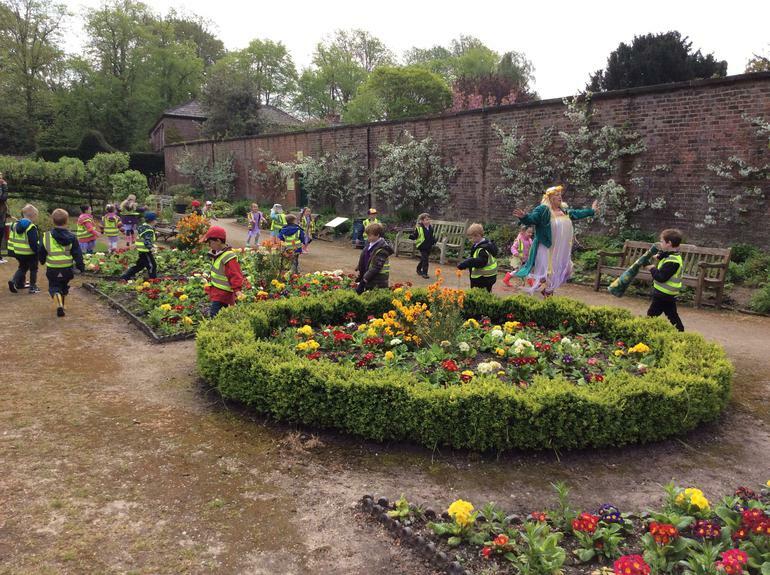 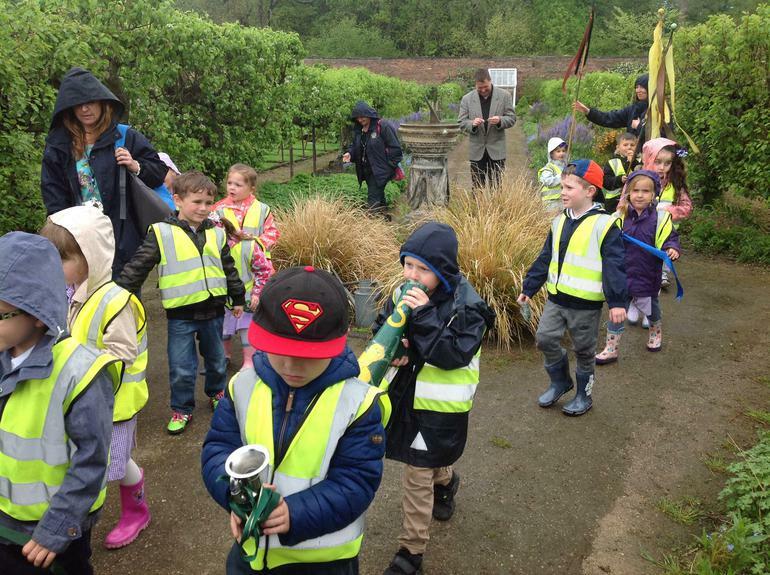 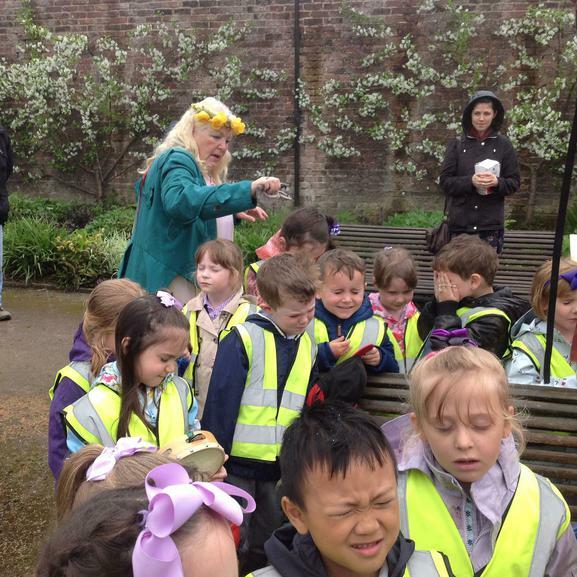 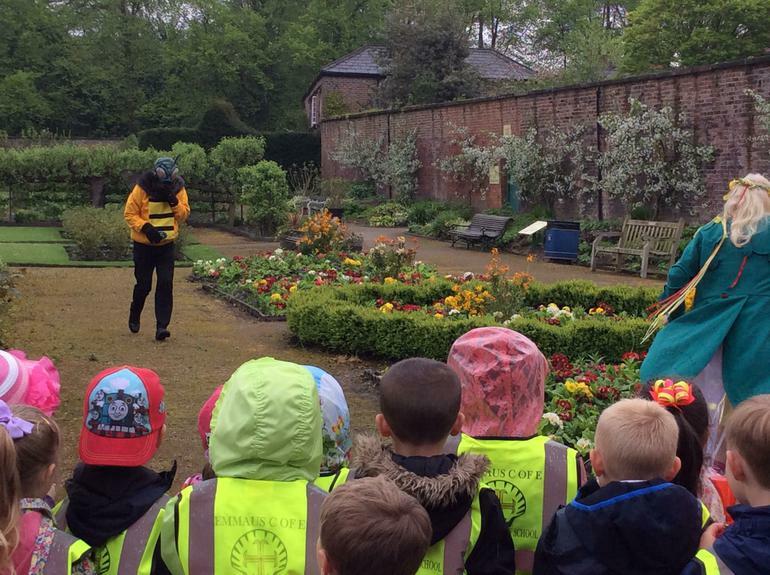 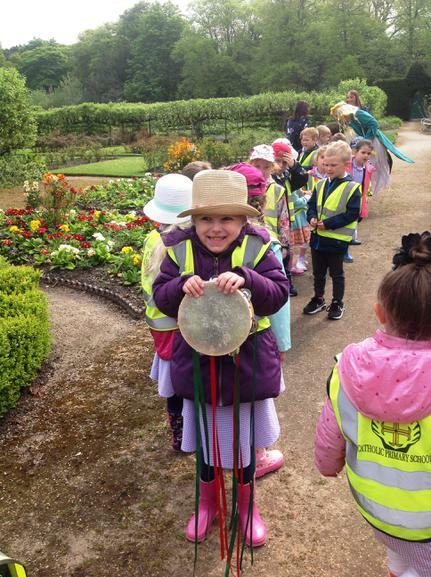 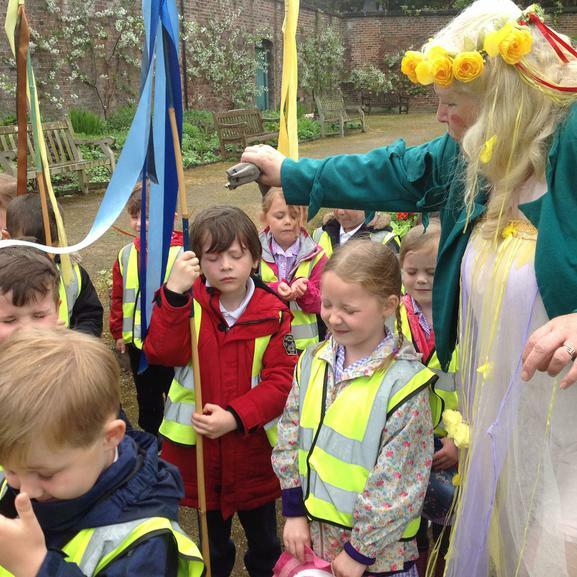 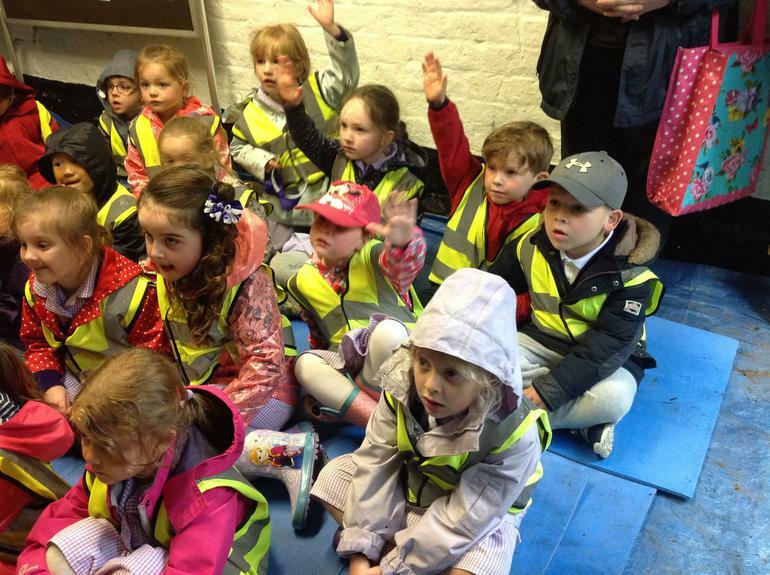 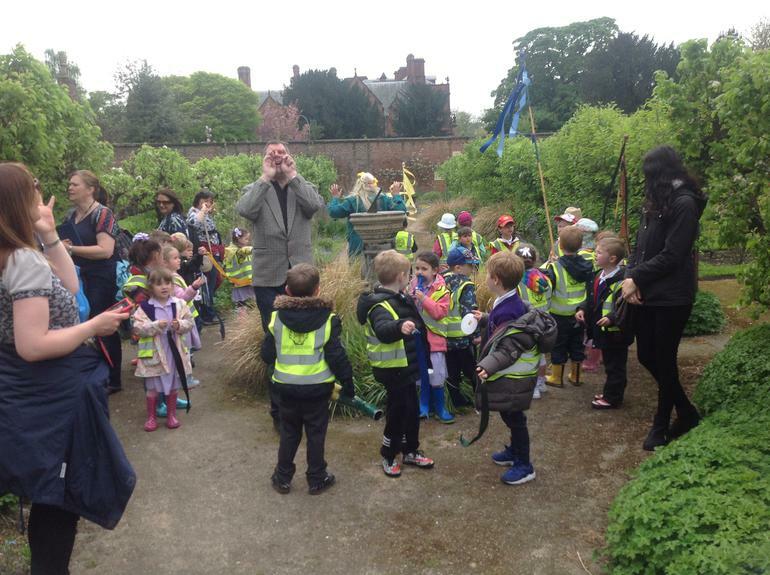 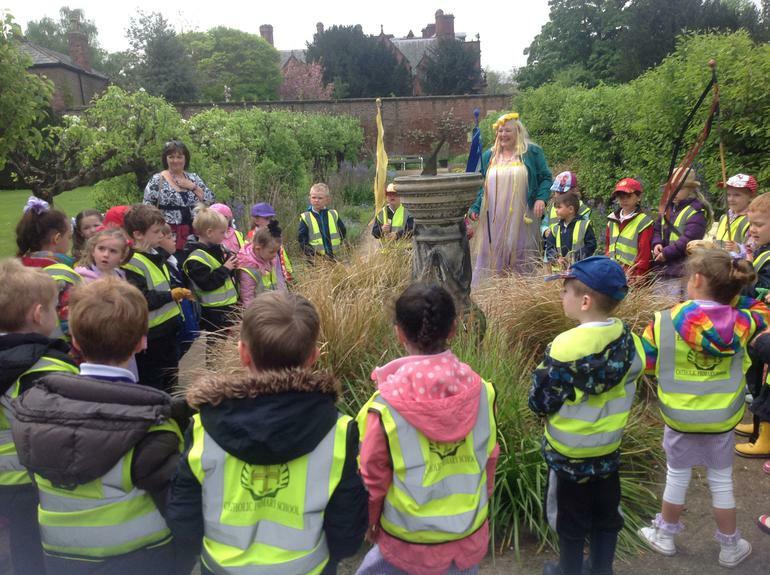 We loved joining in with singing, dancing and shouting "March, April, May" as we marched through the beautiful walled garden. 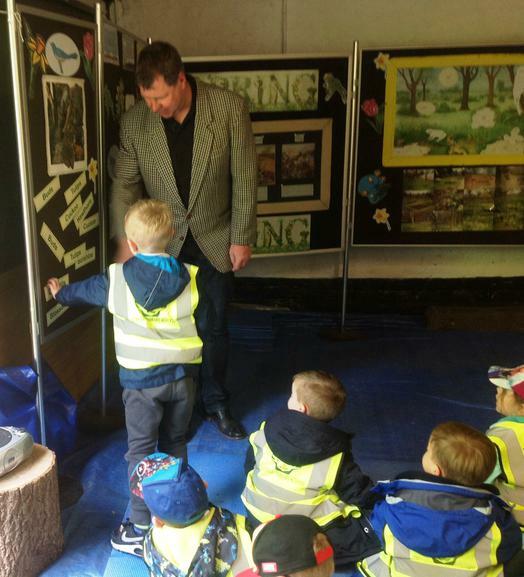 We spent the morning searching for 'signs of Spring' and learnt lots along the way about the important things plants need to grow, how to take care of living things and the importance of recycling and looking after the environment. 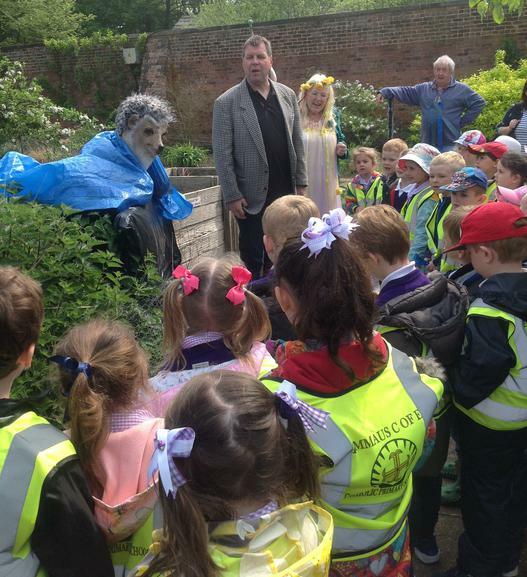 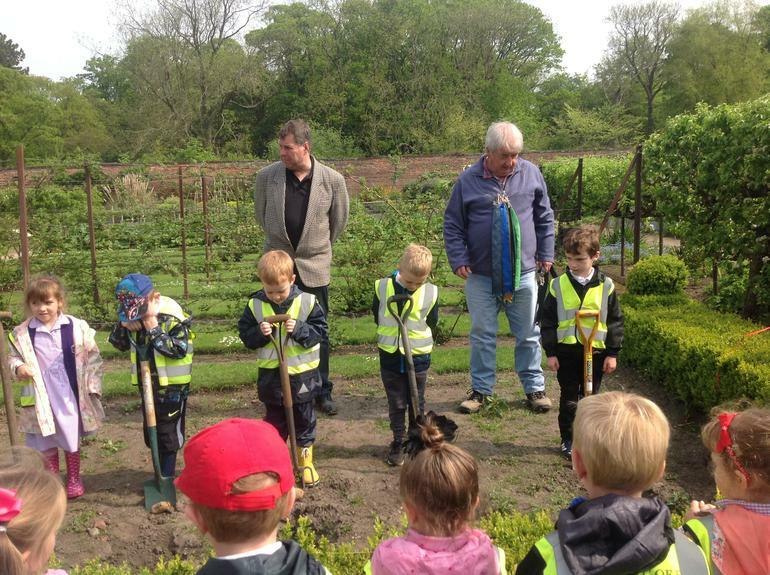 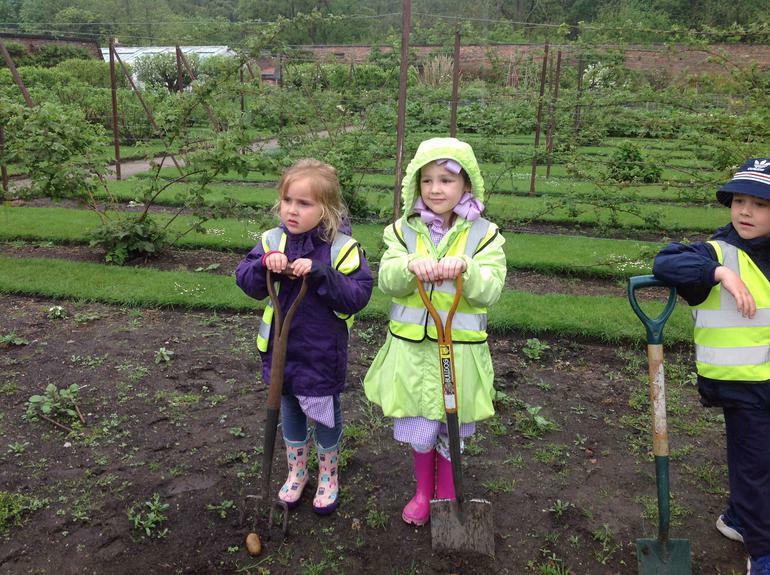 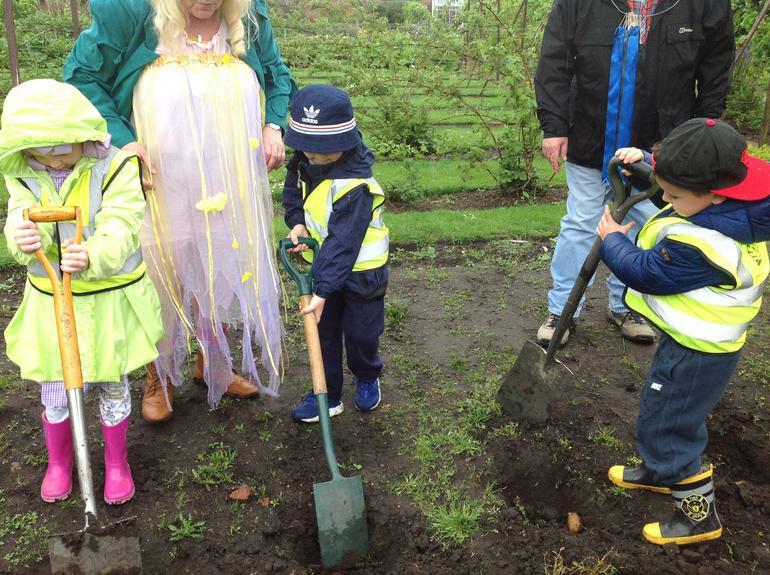 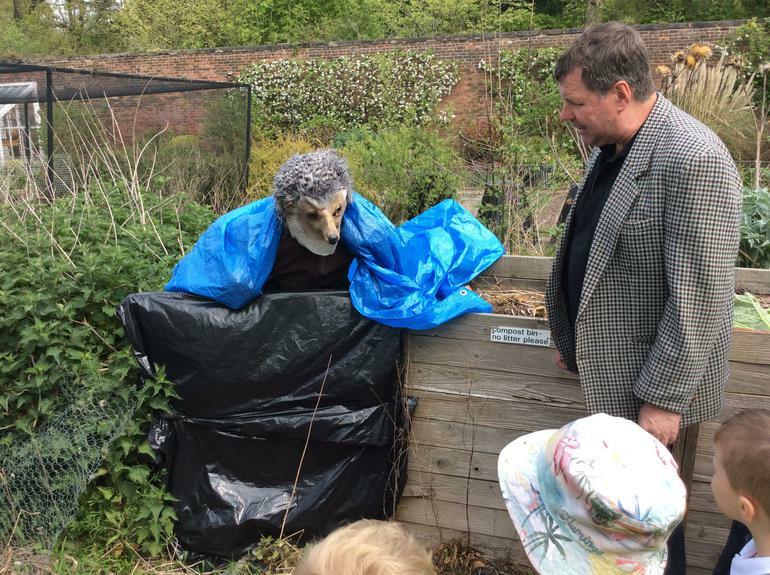 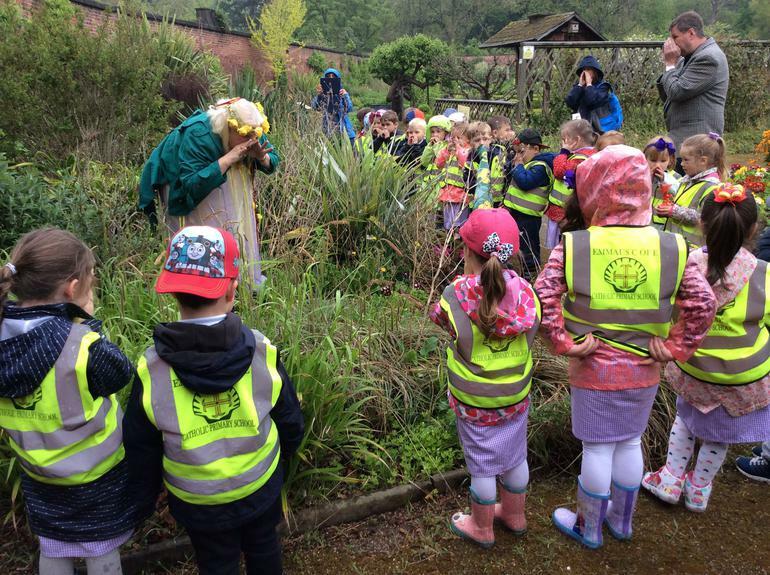 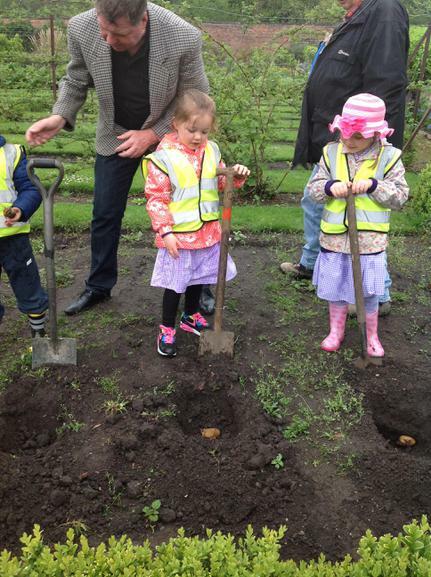 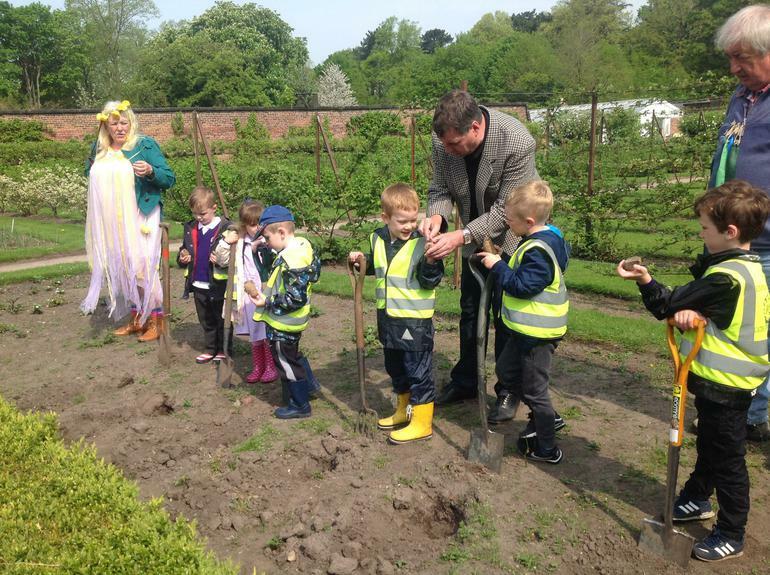 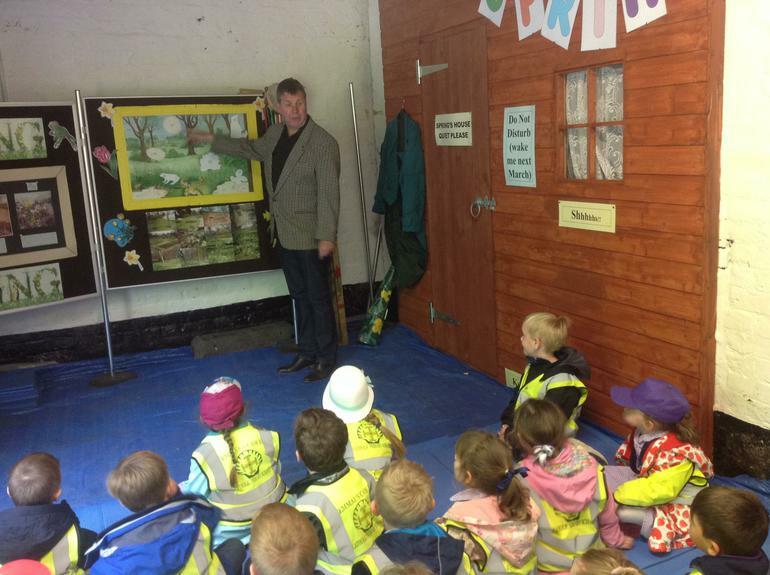 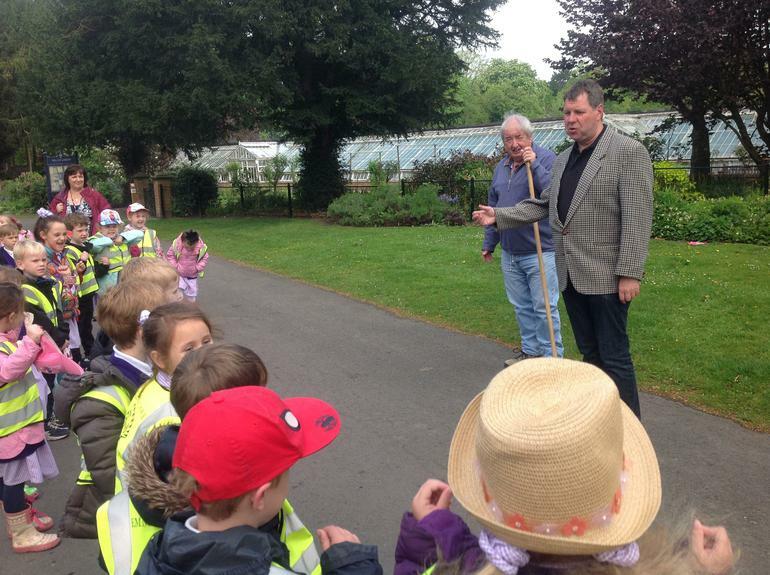 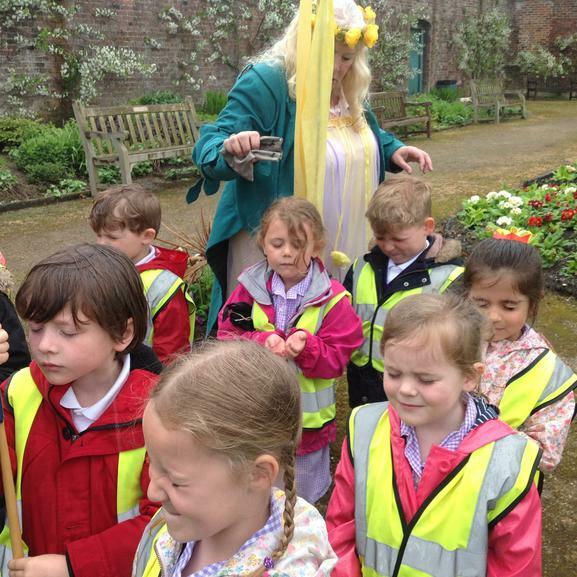 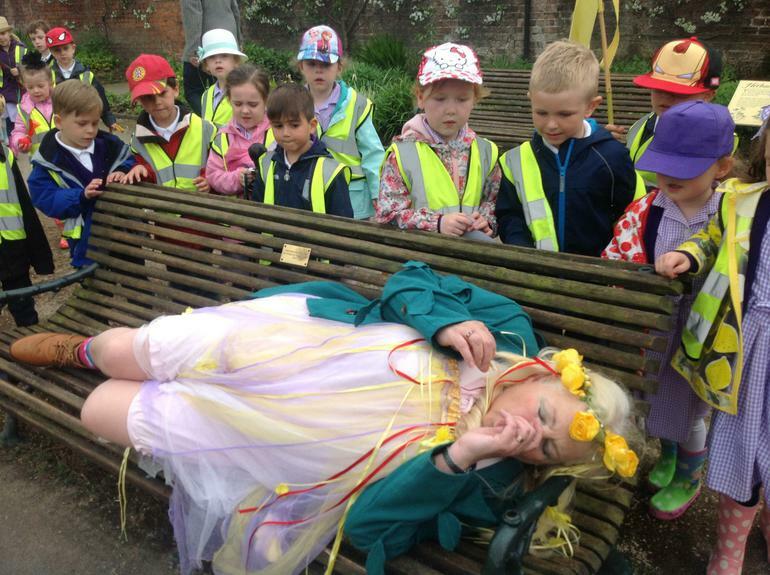 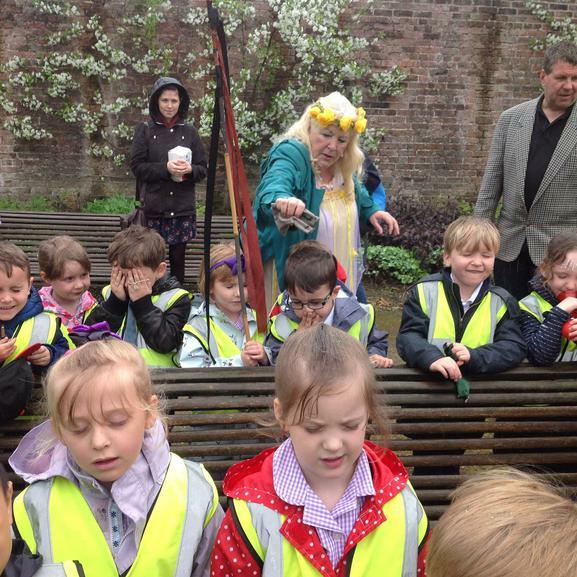 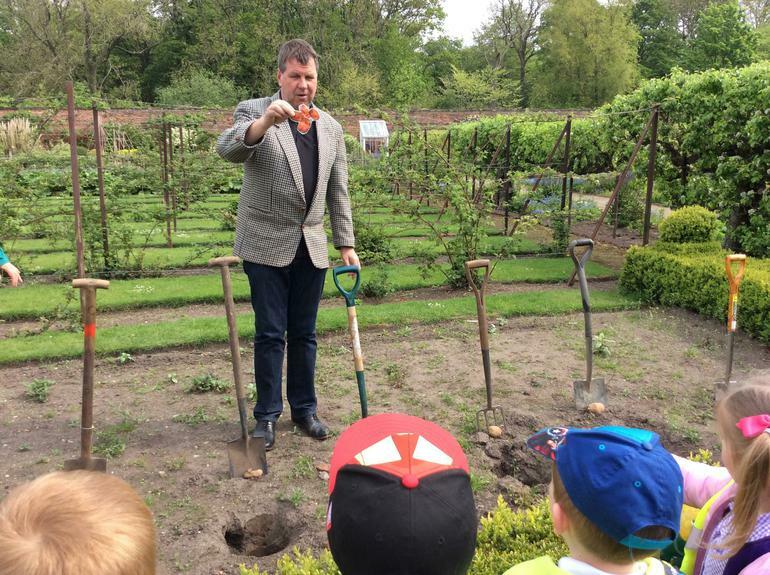 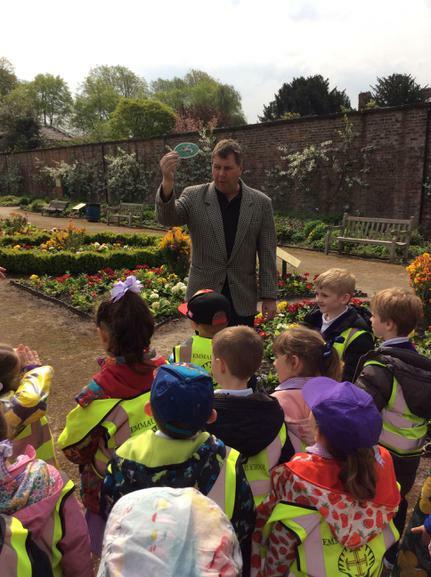 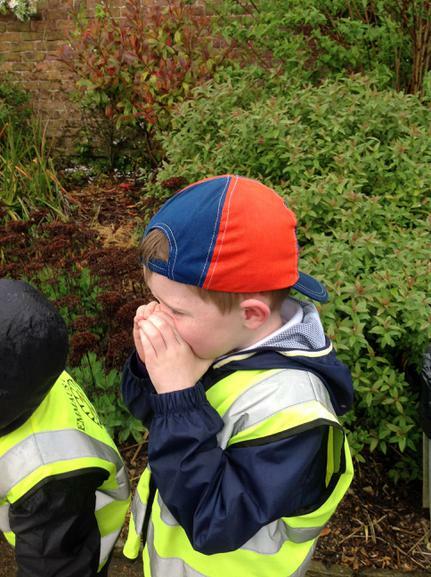 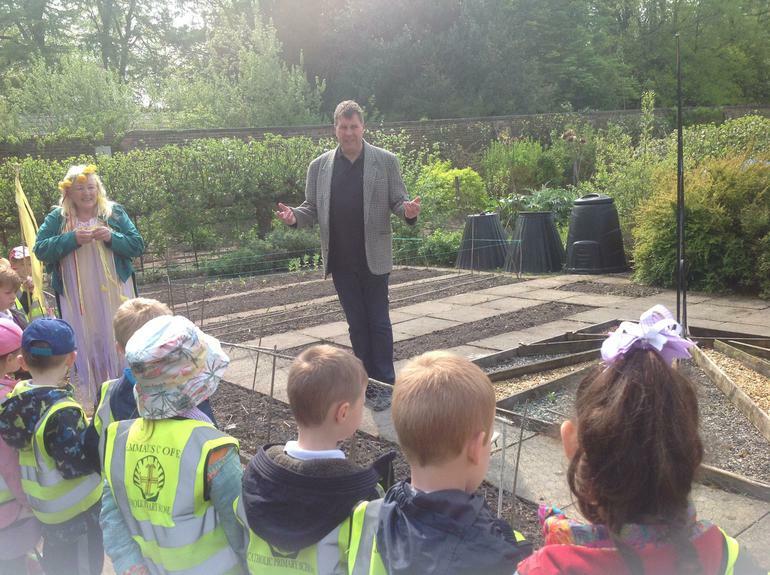 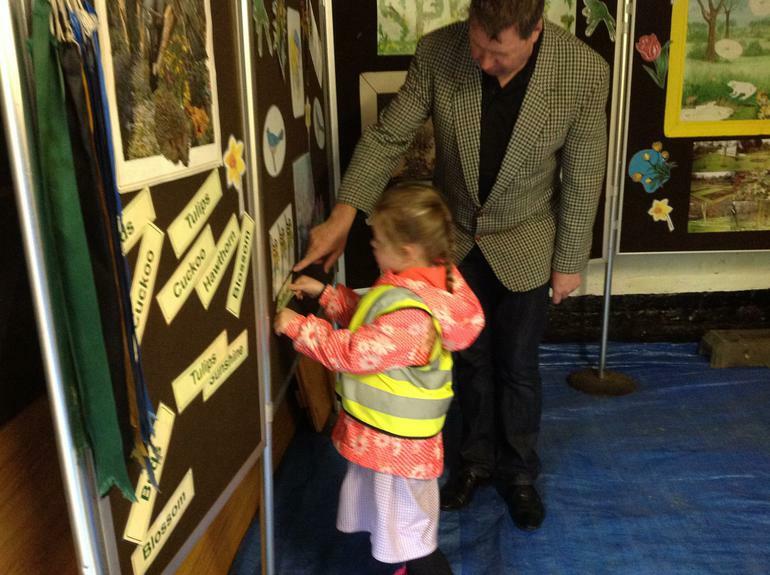 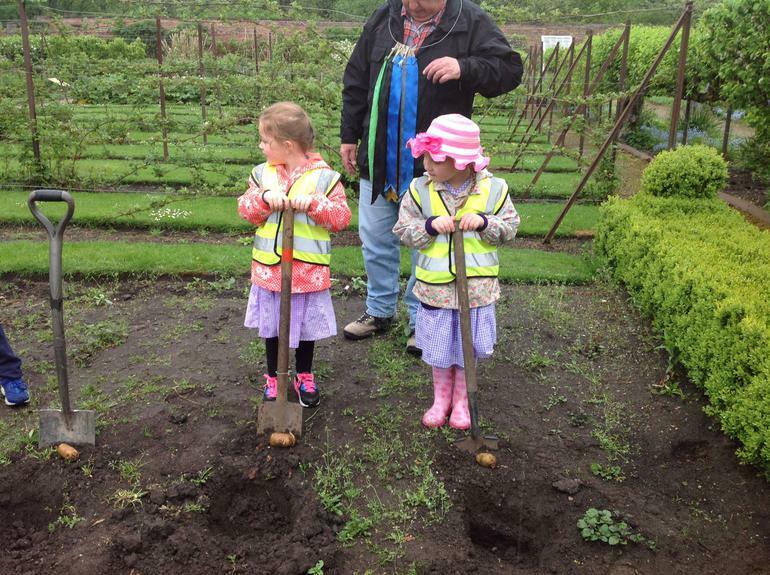 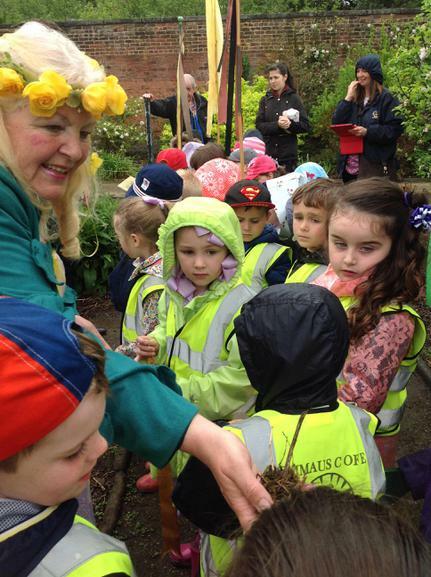 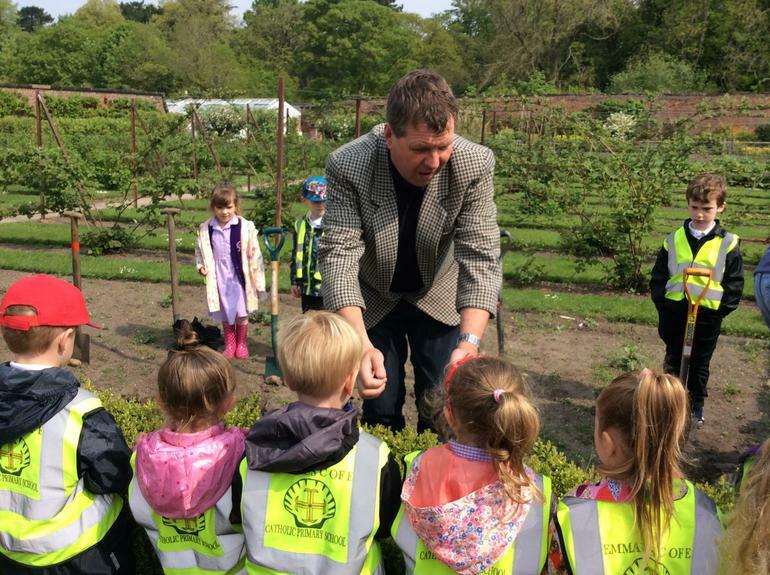 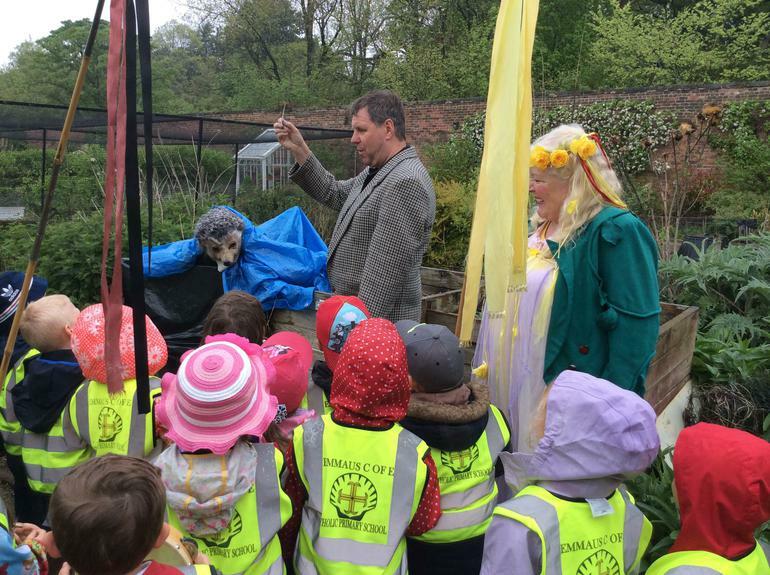 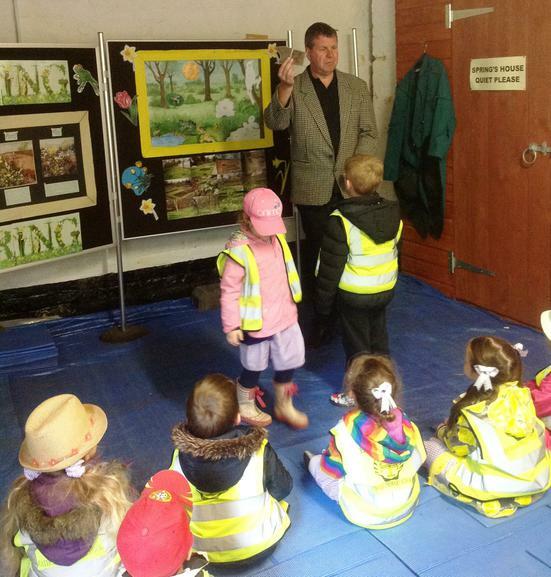 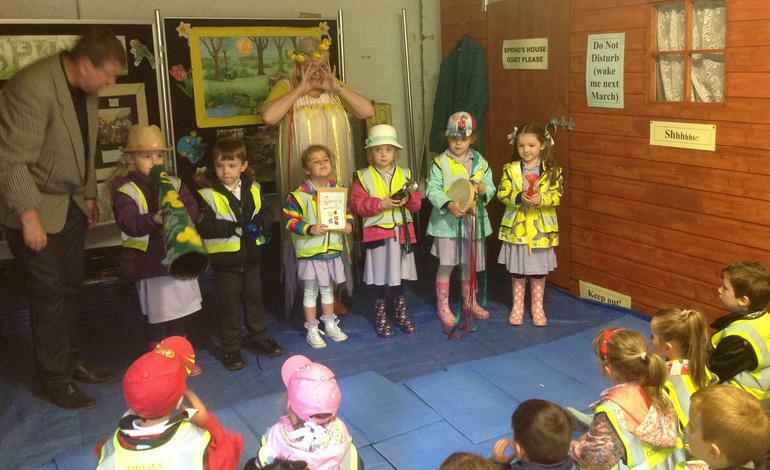 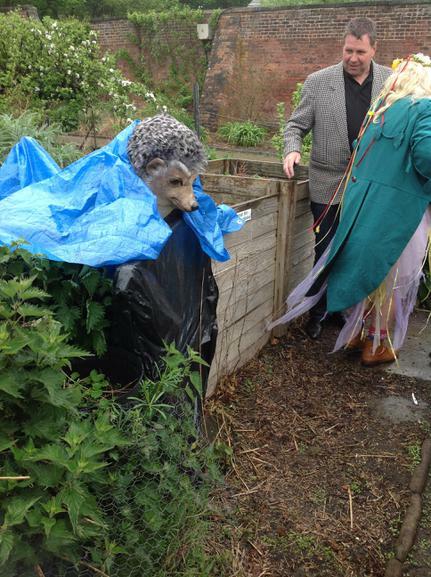 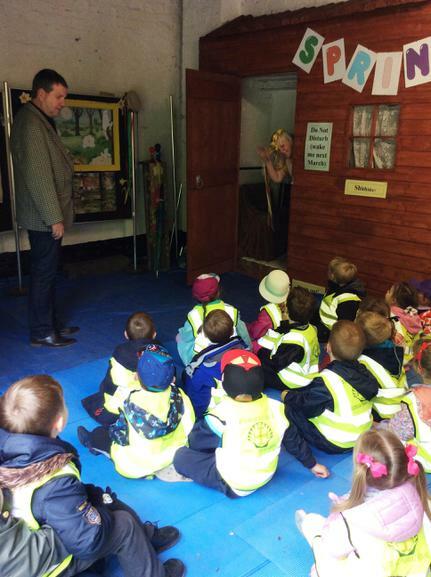 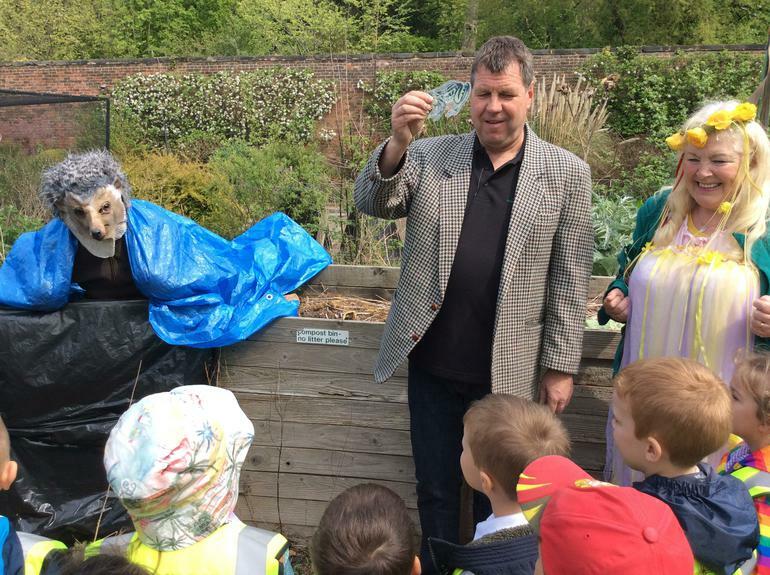 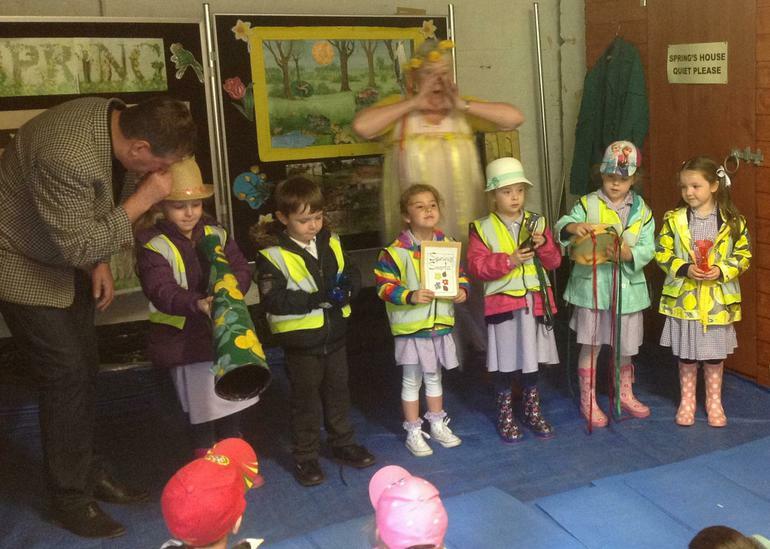 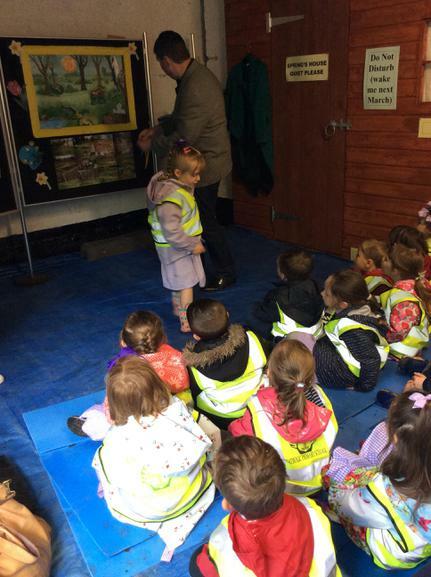 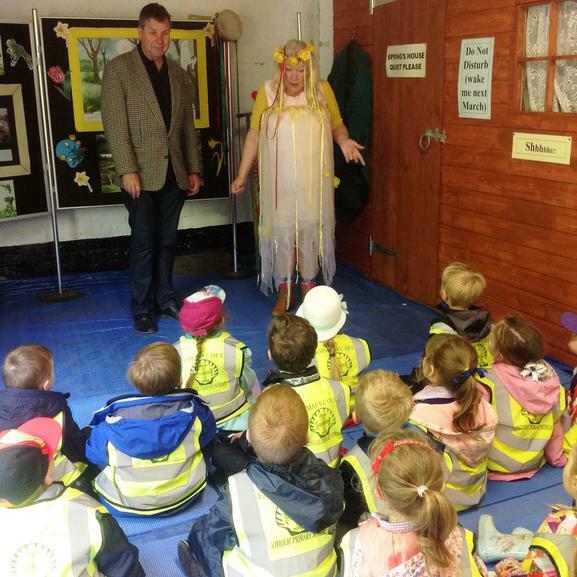 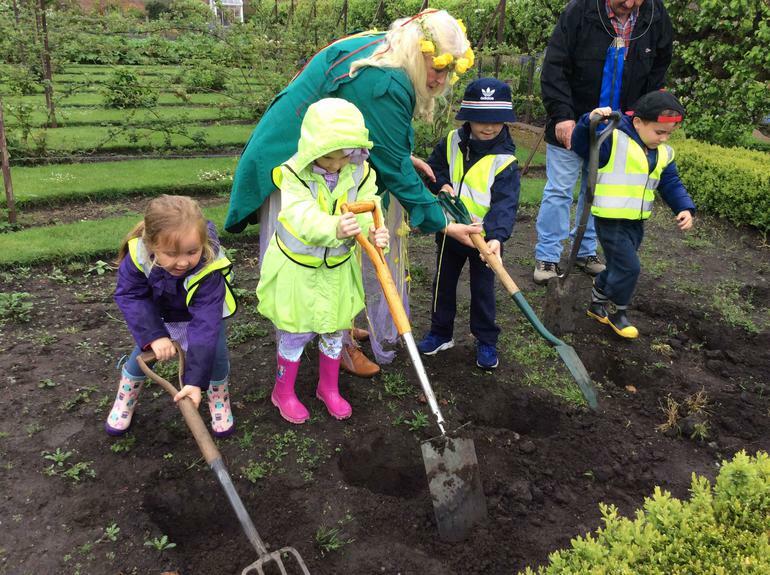 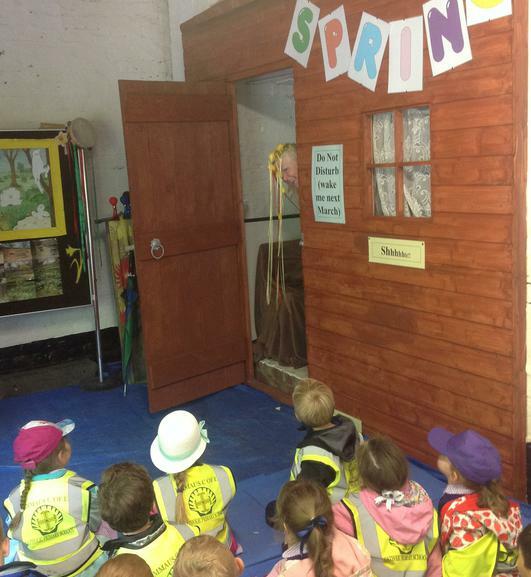 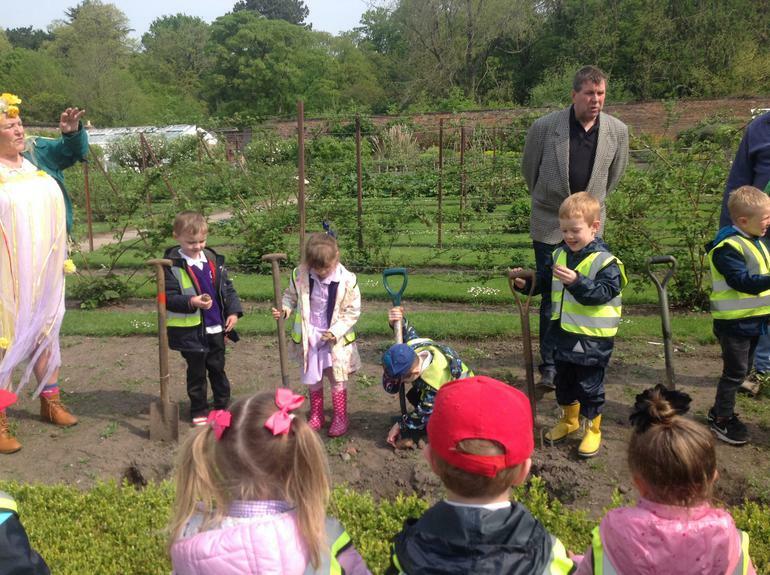 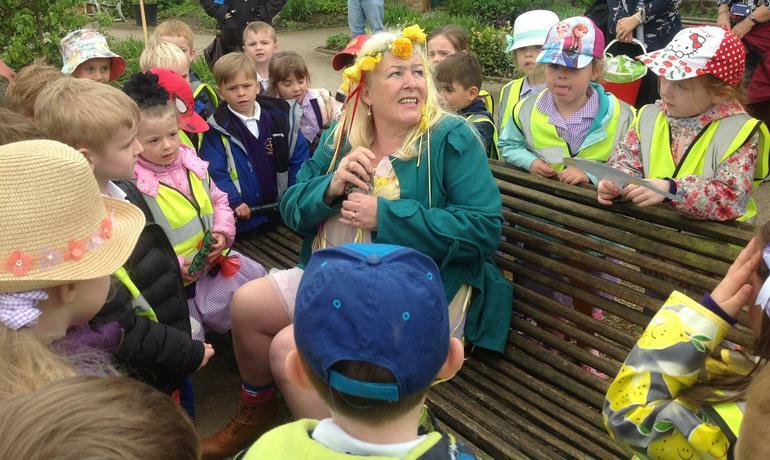 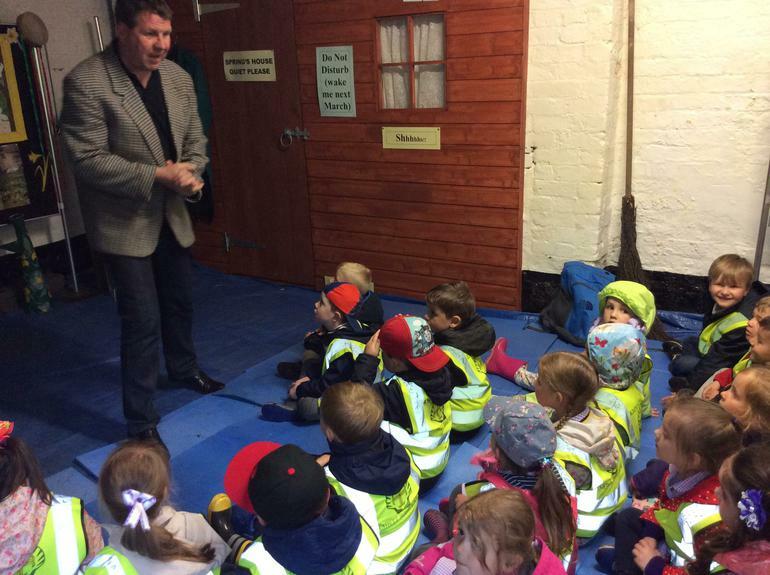 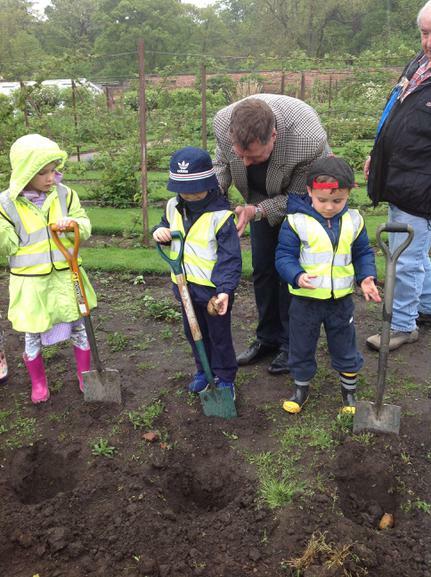 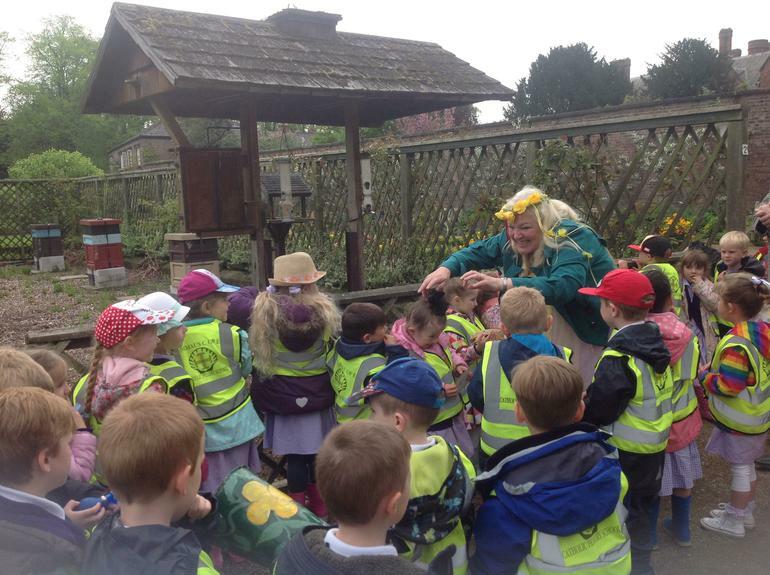 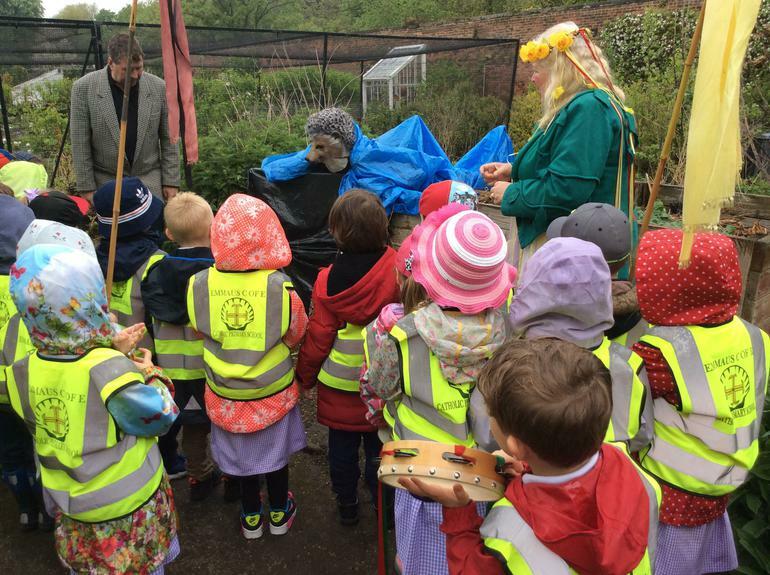 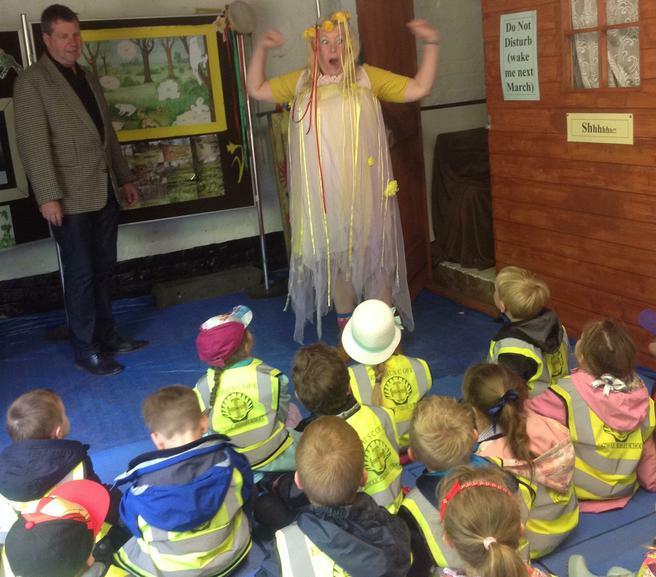 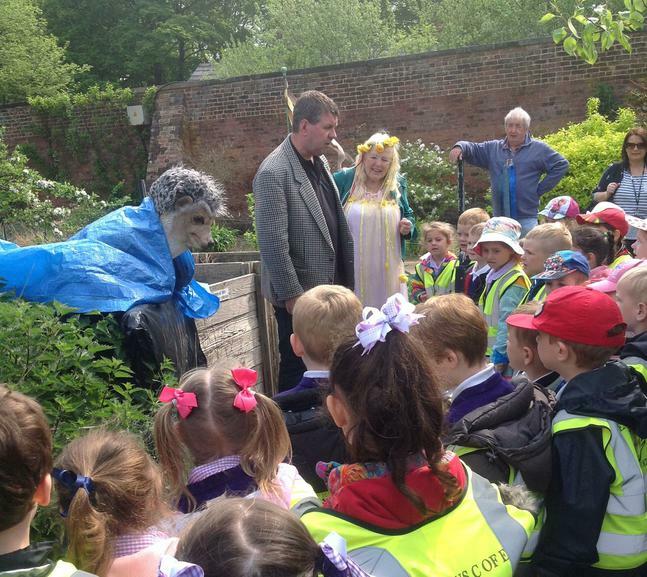 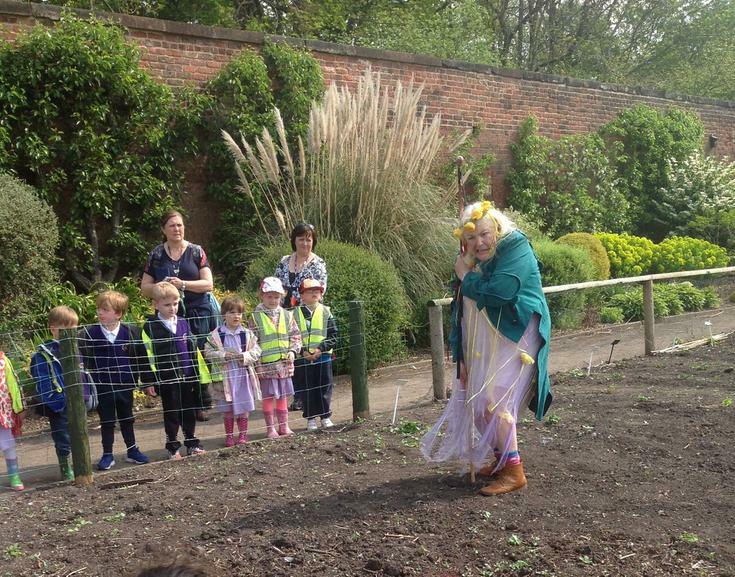 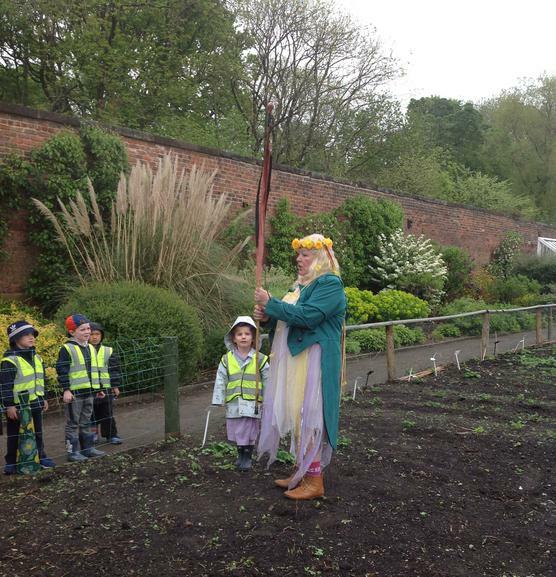 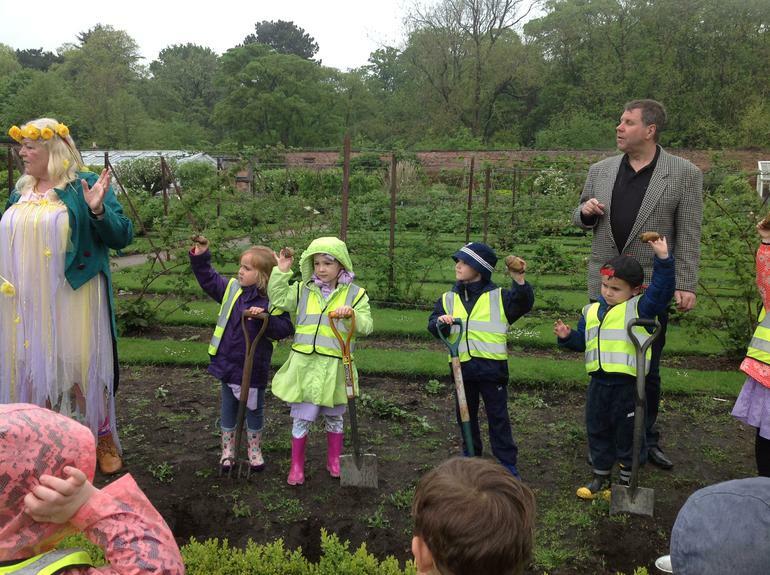 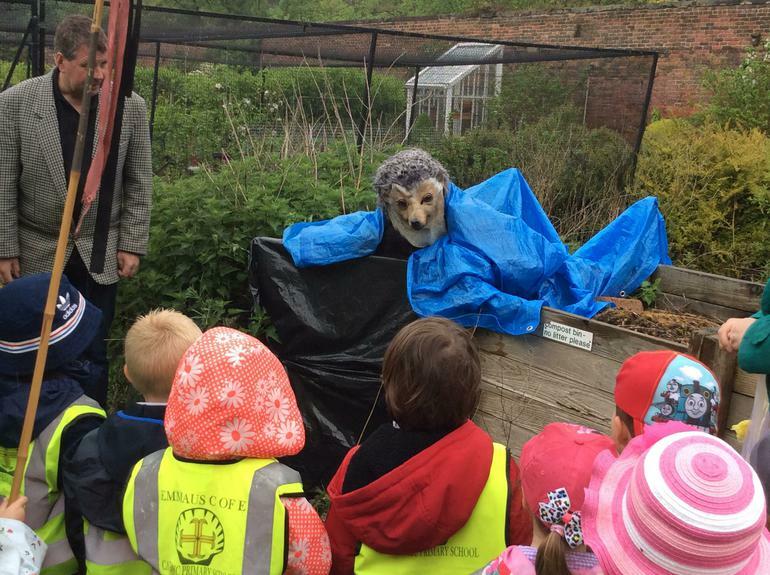 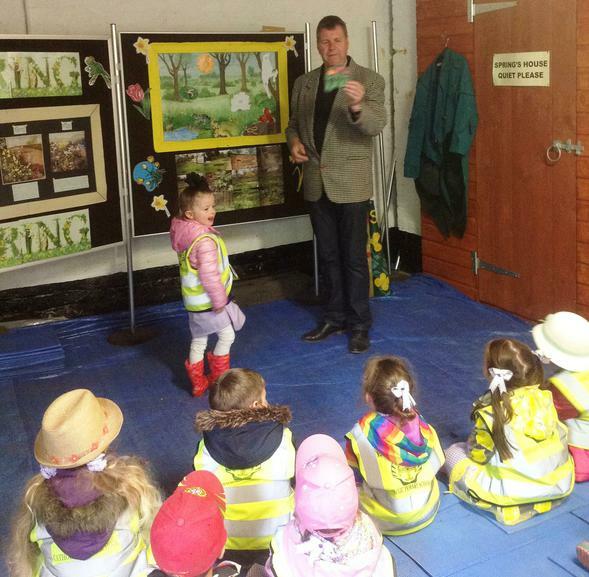 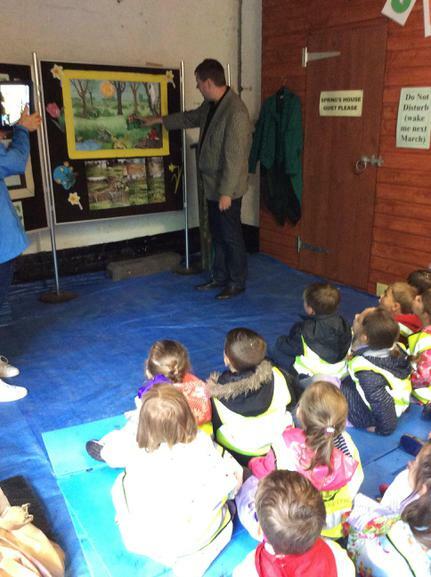 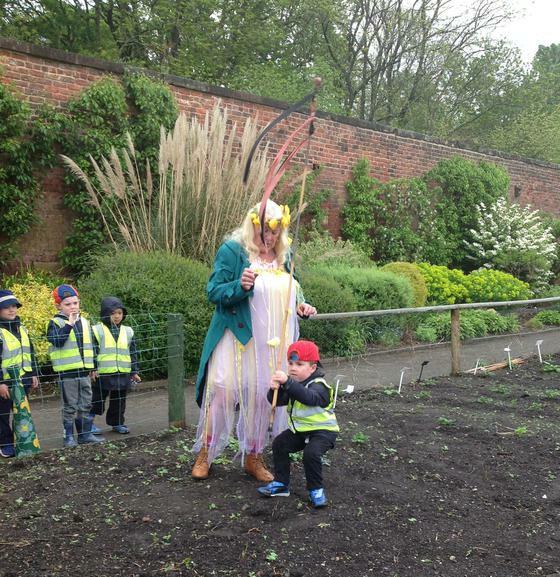 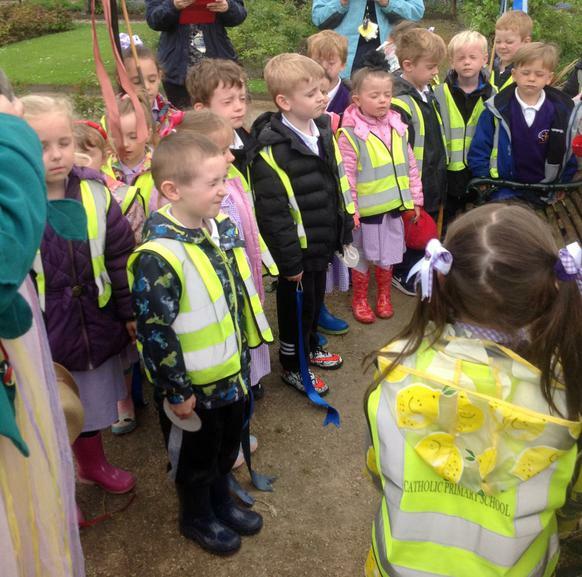 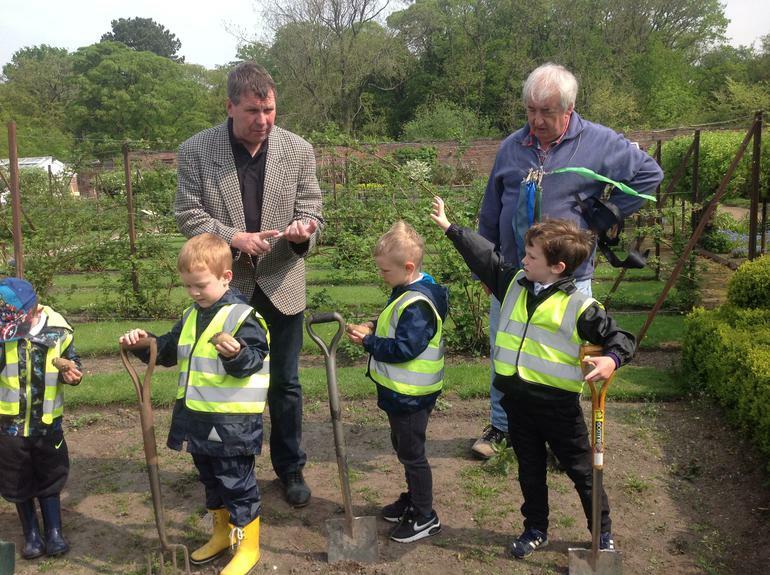 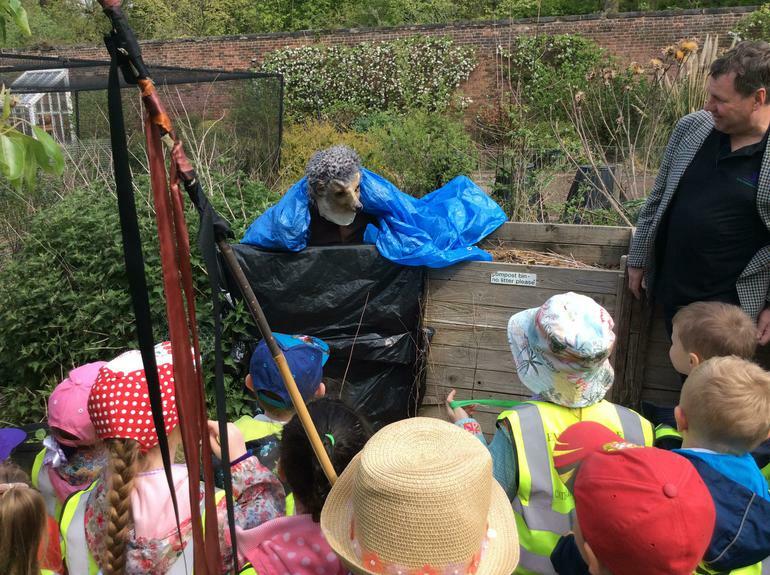 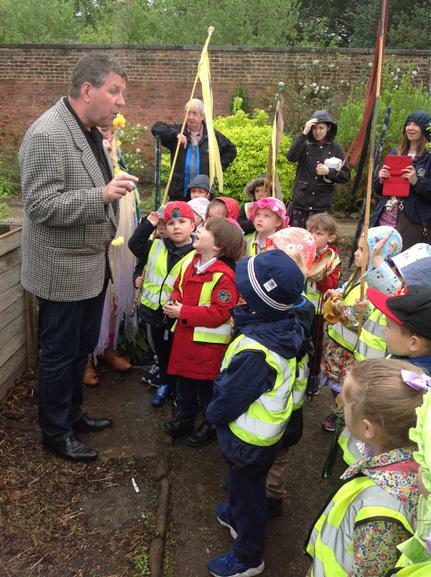 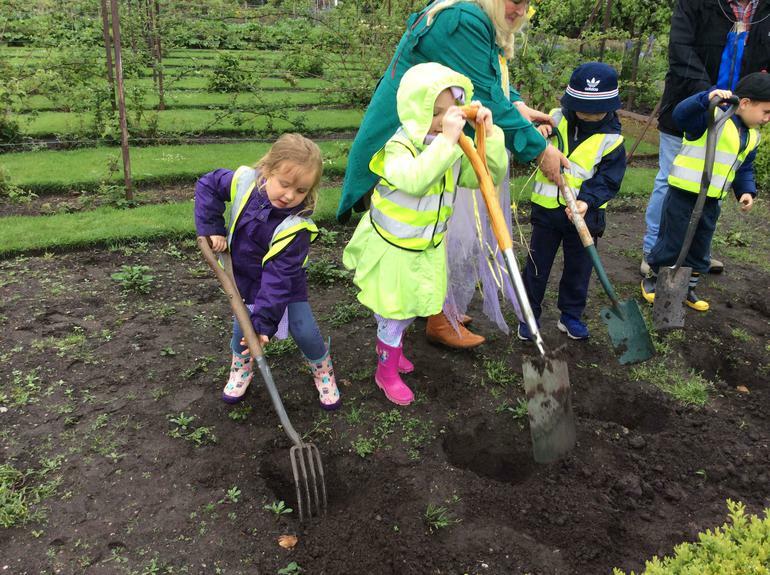 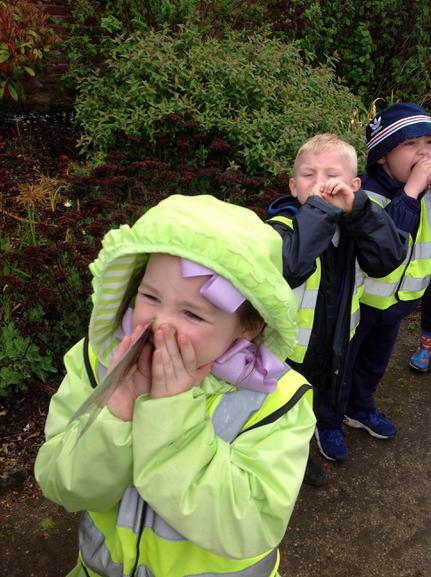 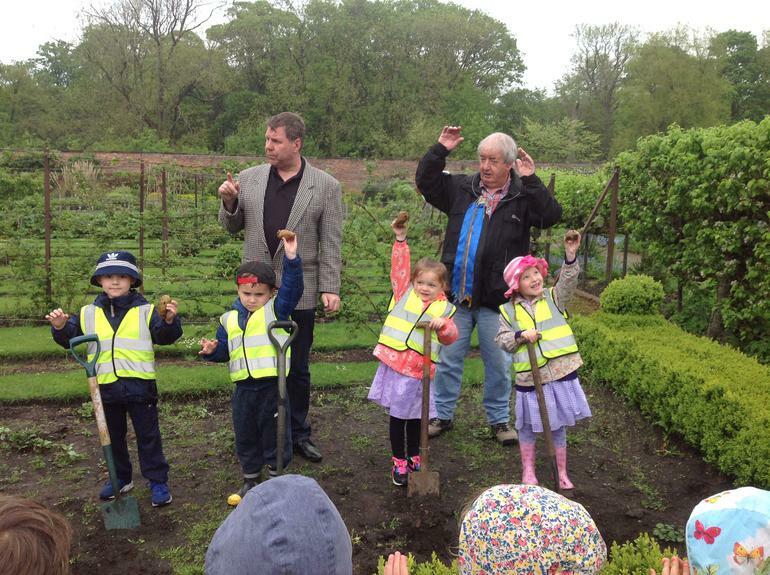 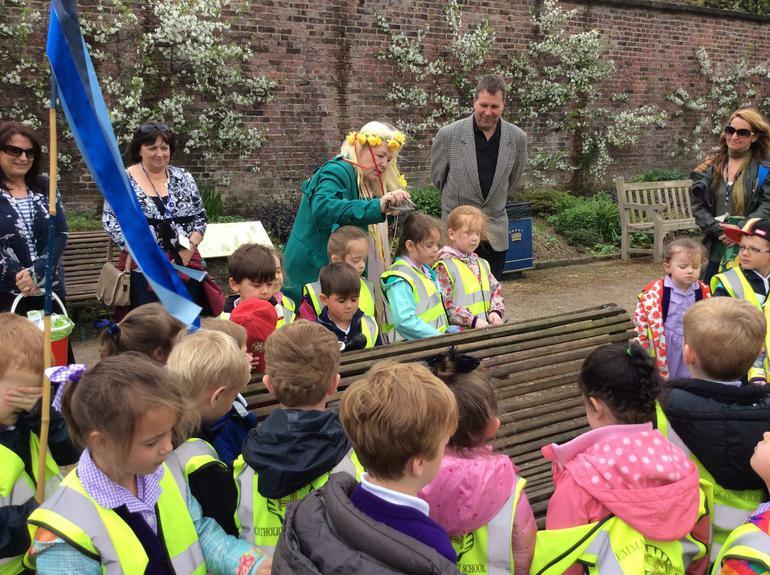 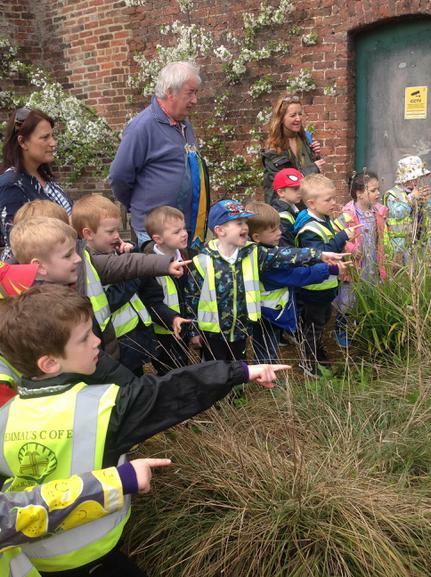 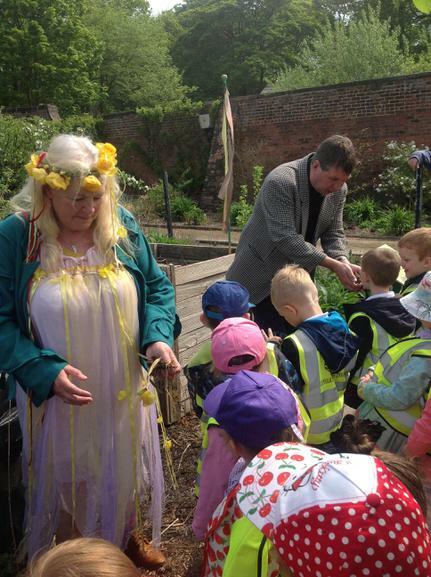 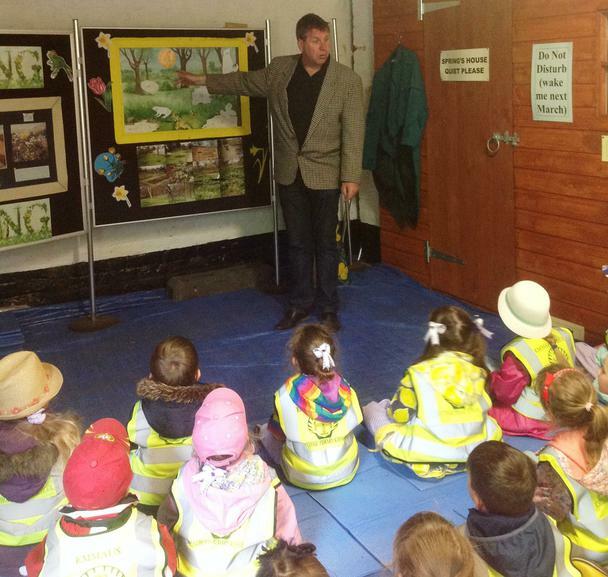 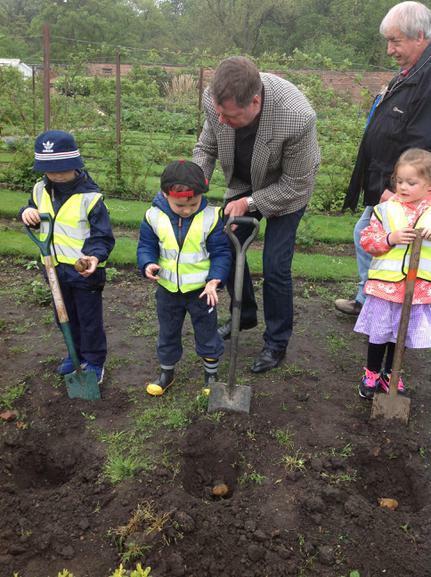 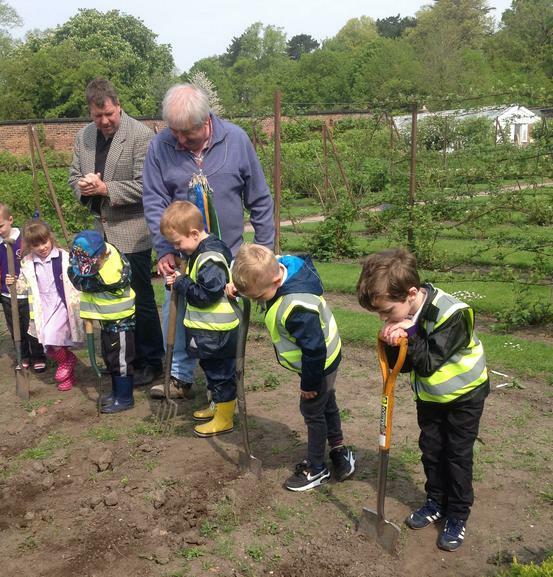 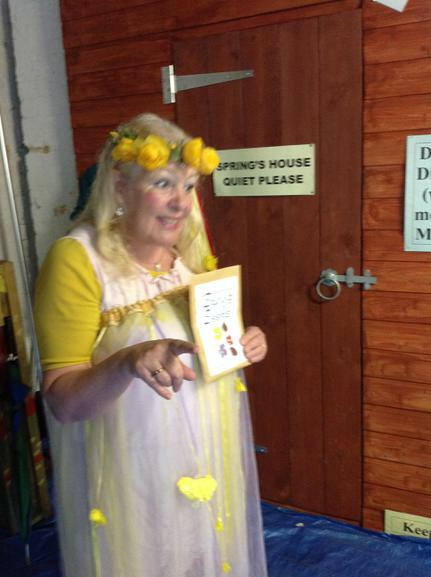 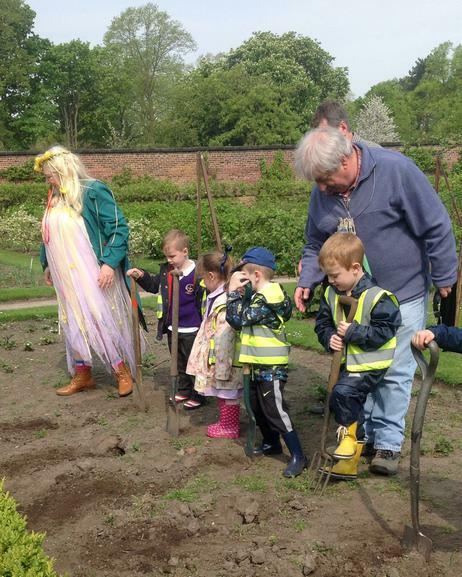 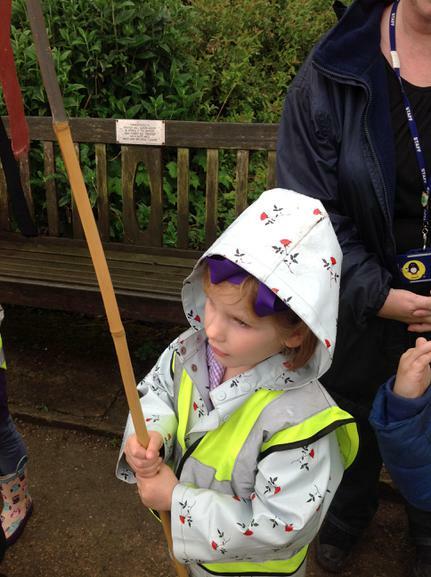 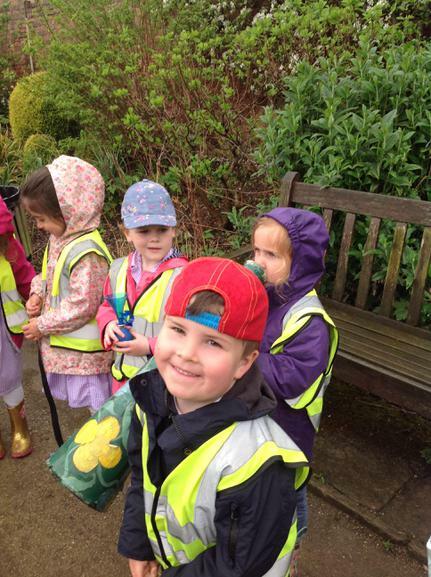 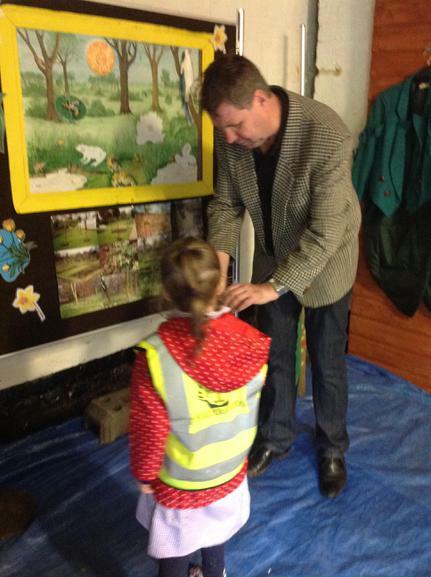 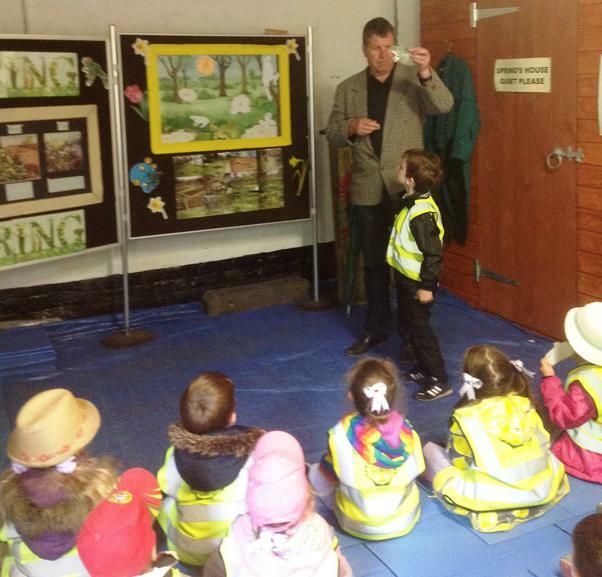 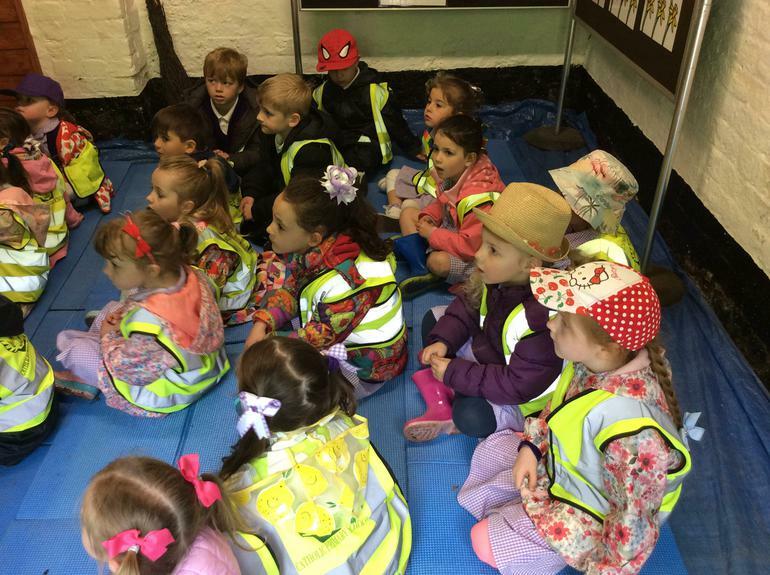 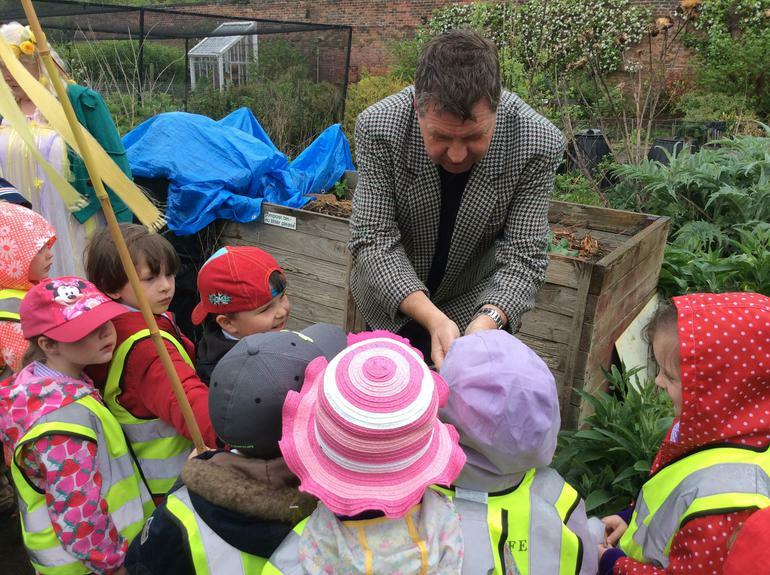 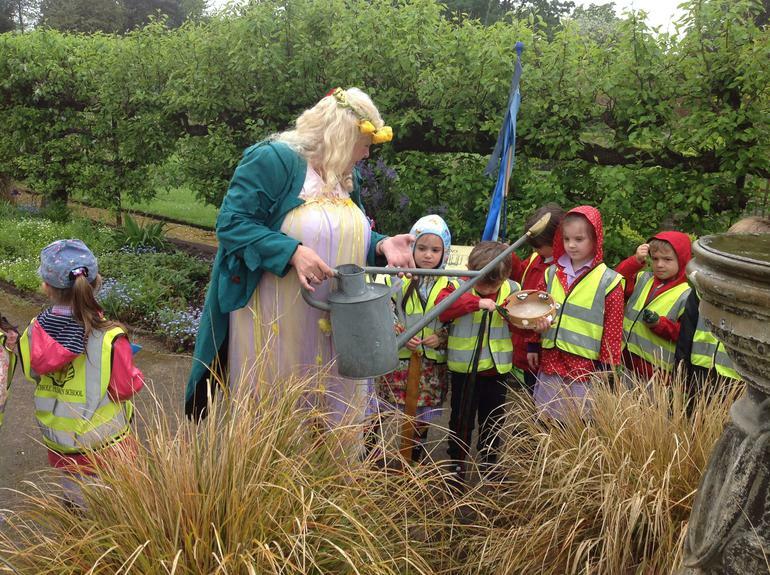 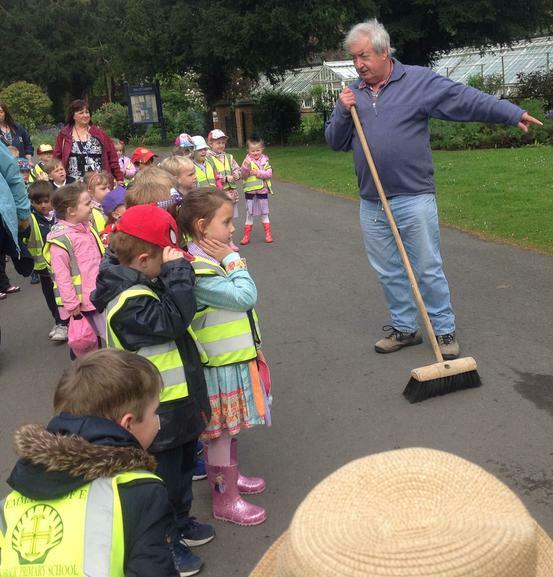 We met a sleepy hedgehog, a very busy bee and we even planted potatoes! 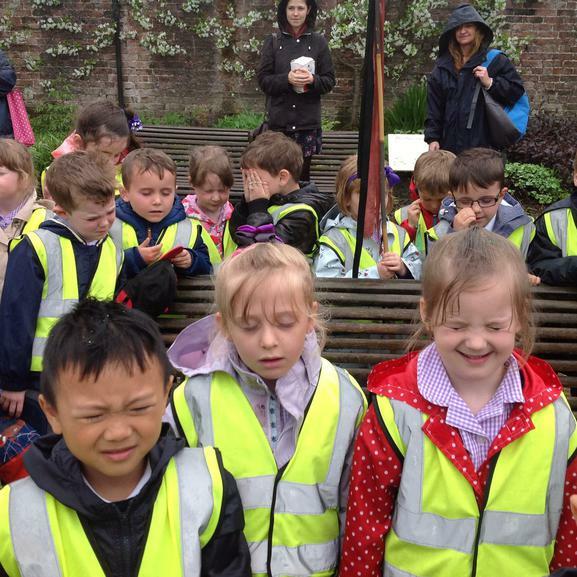 We all worked very hard and behaved beautifully. 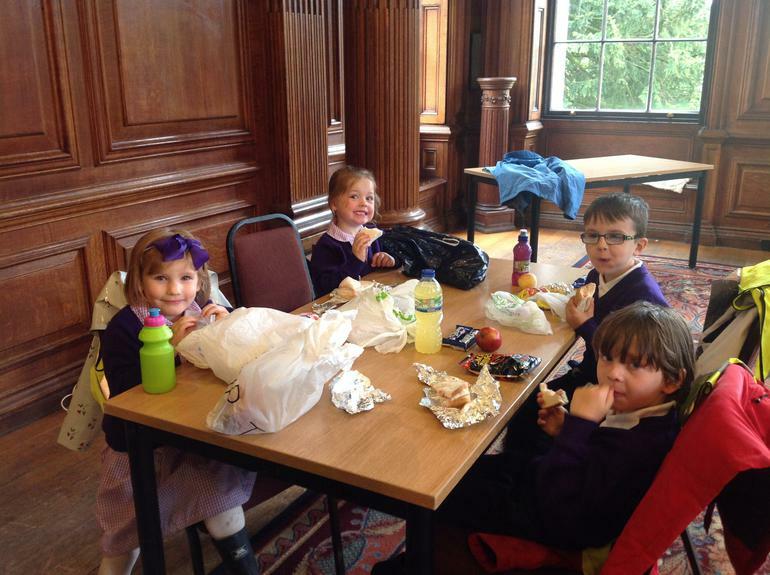 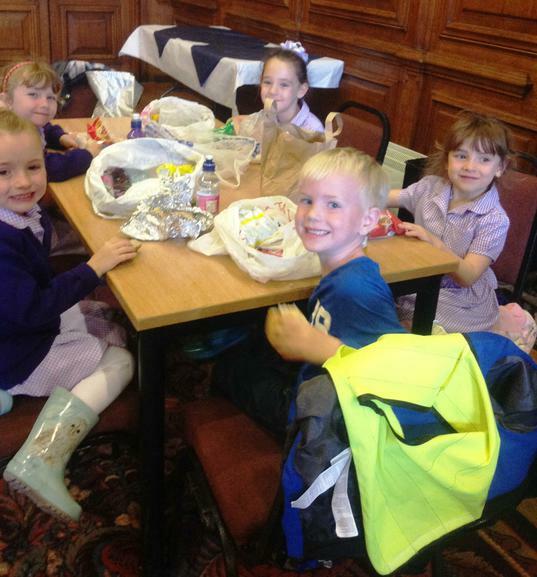 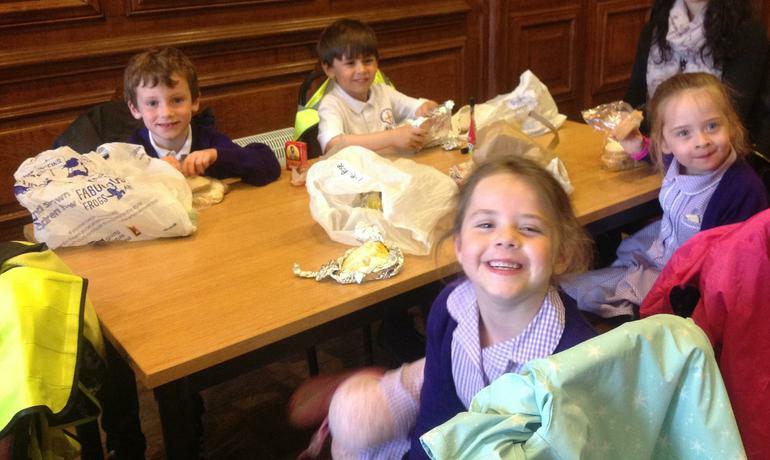 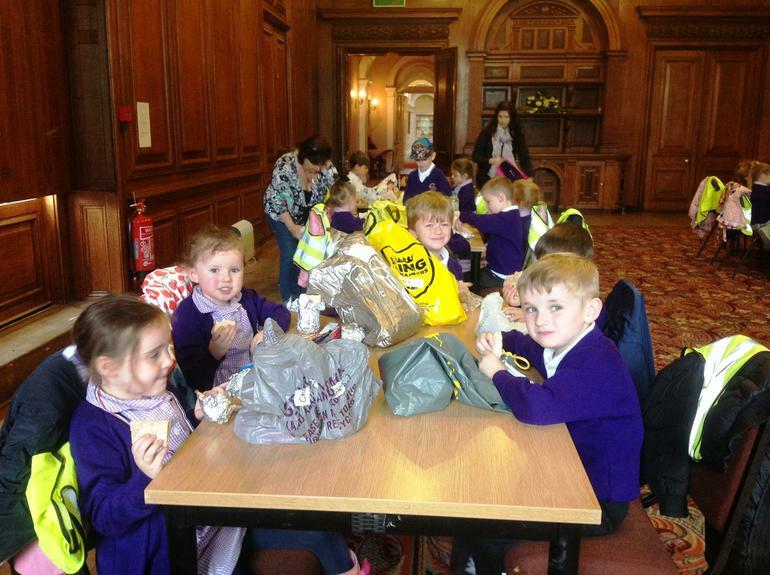 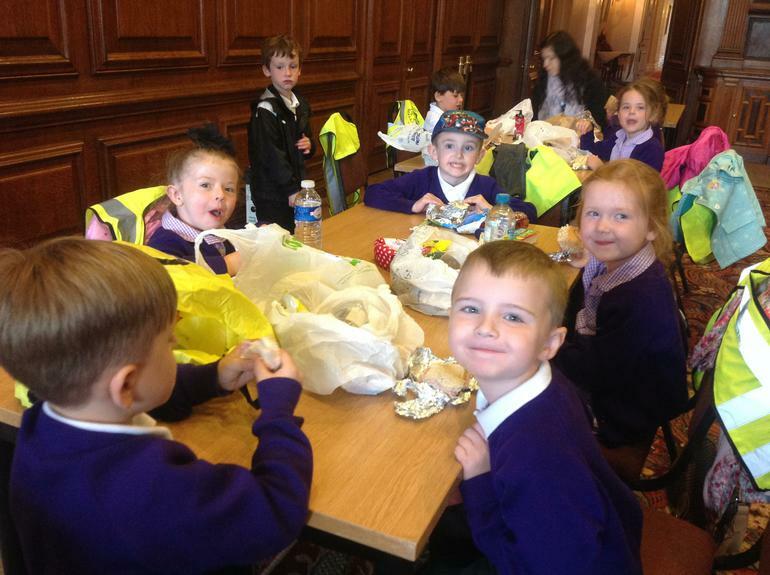 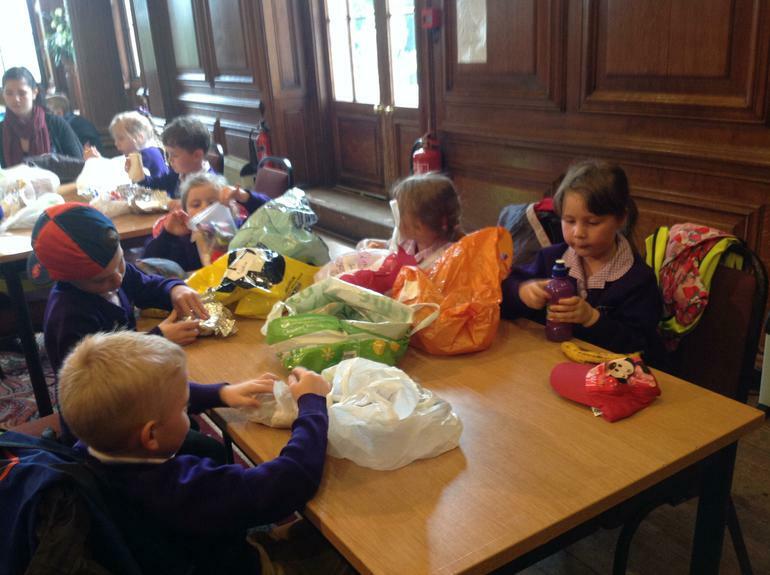 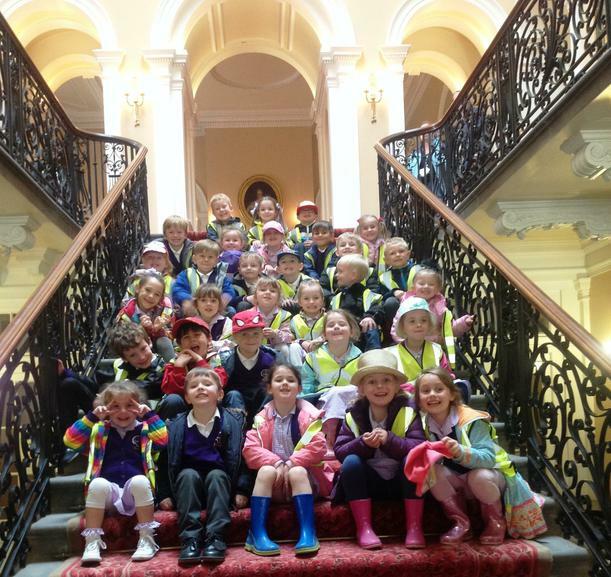 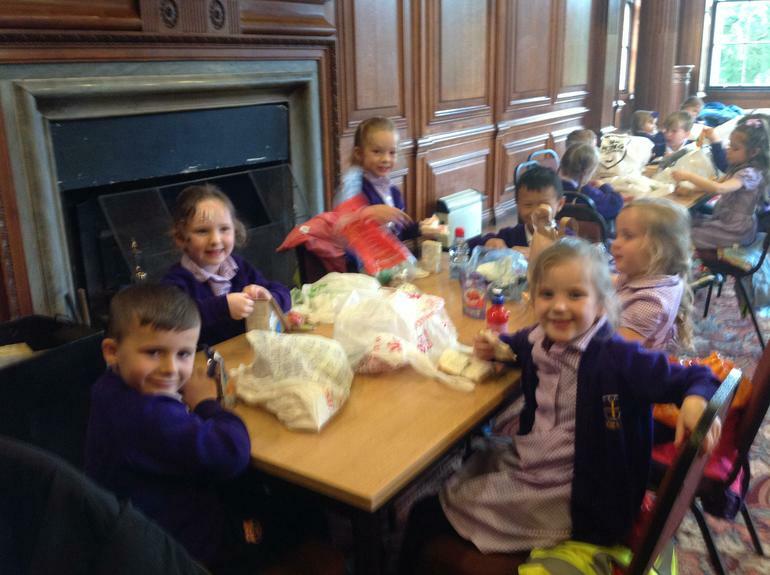 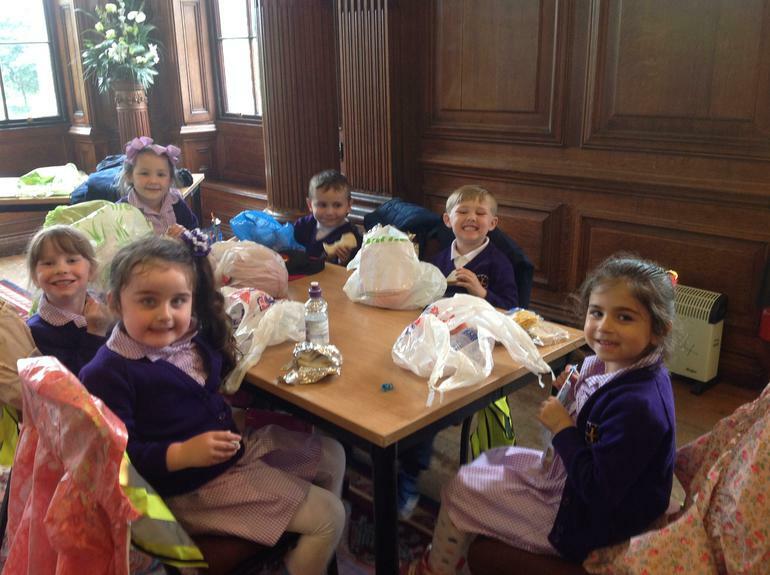 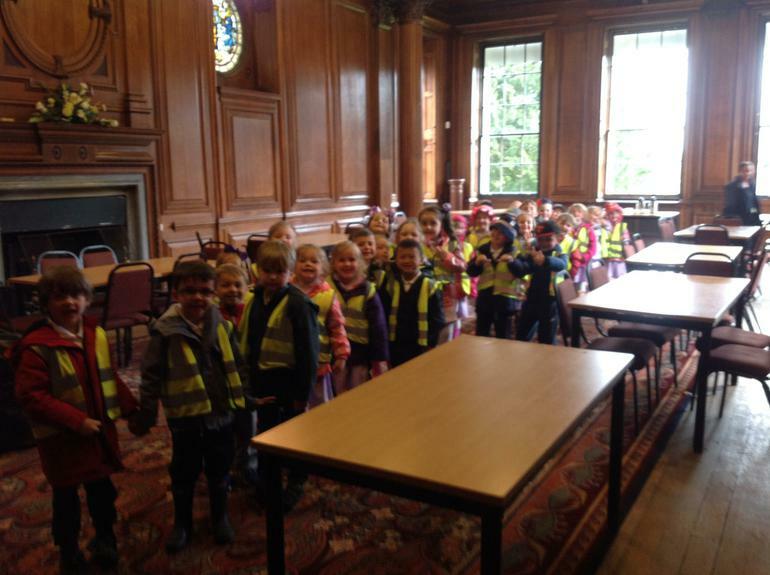 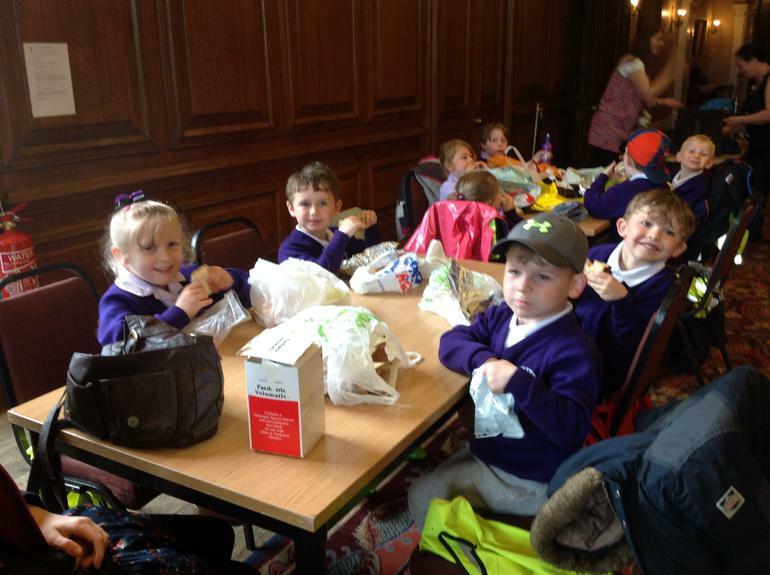 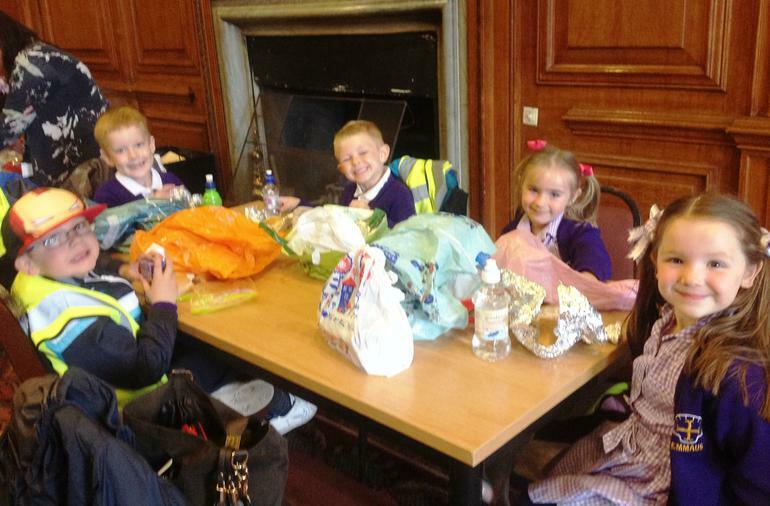 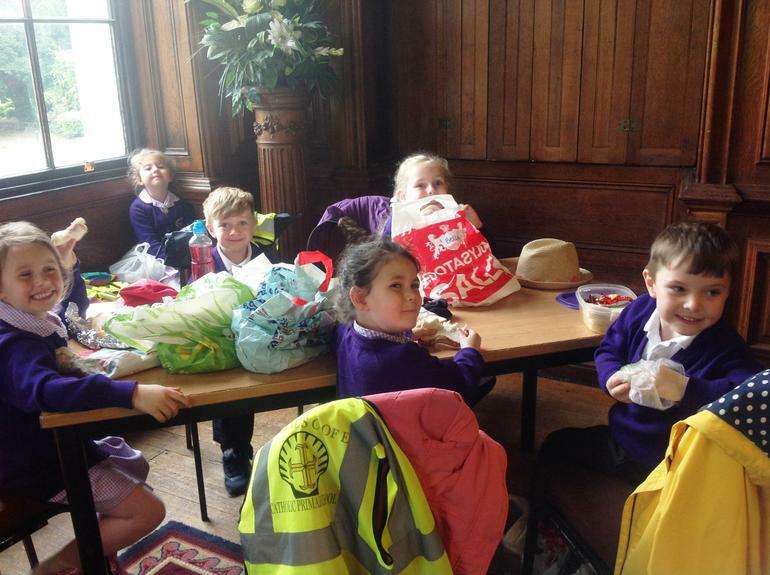 We ended our fun-filled day with a well-earned lunch in the grand surroundings of Croxteth Hall, we all felt very posh and privileged!